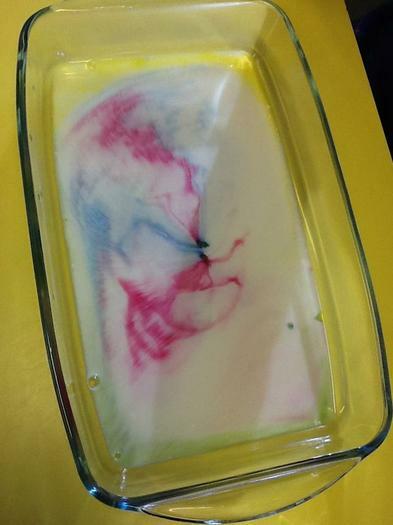 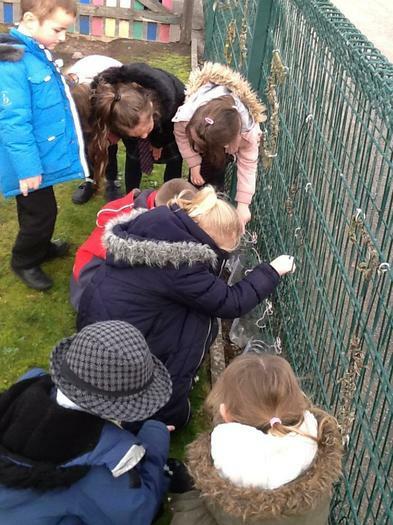 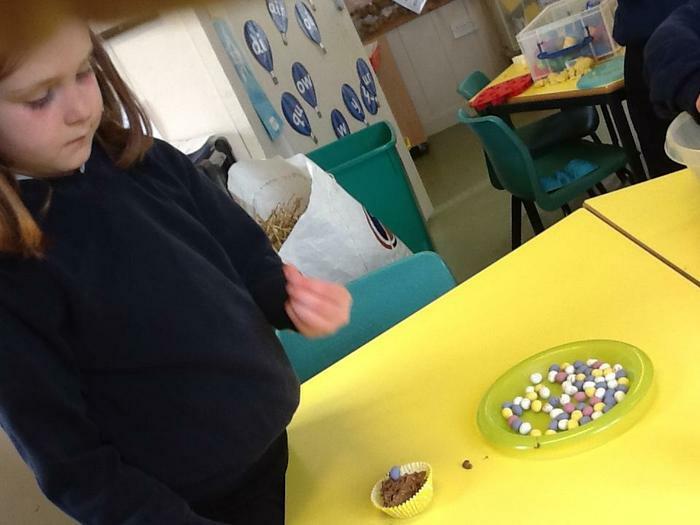 We have enjoyed an Easter Fun day today. 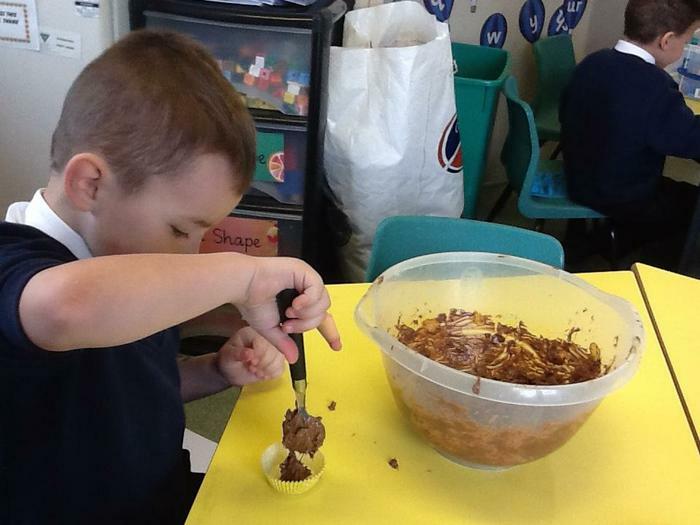 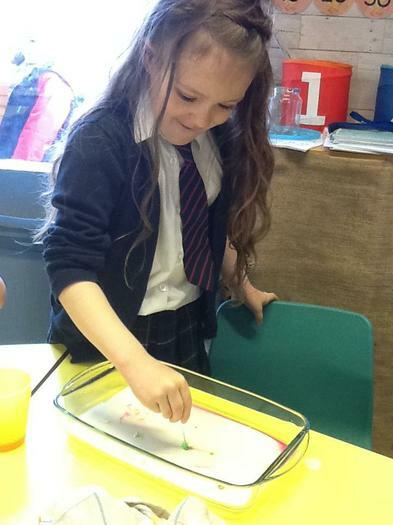 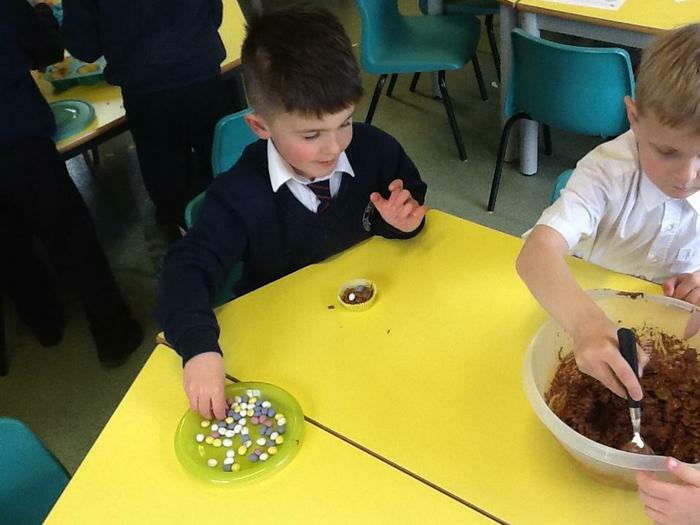 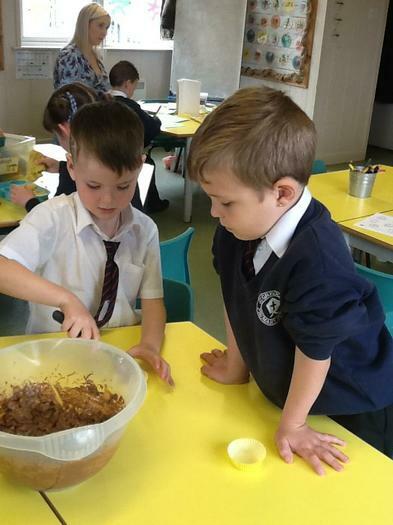 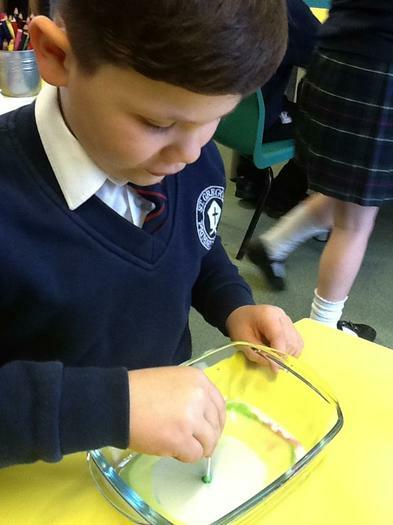 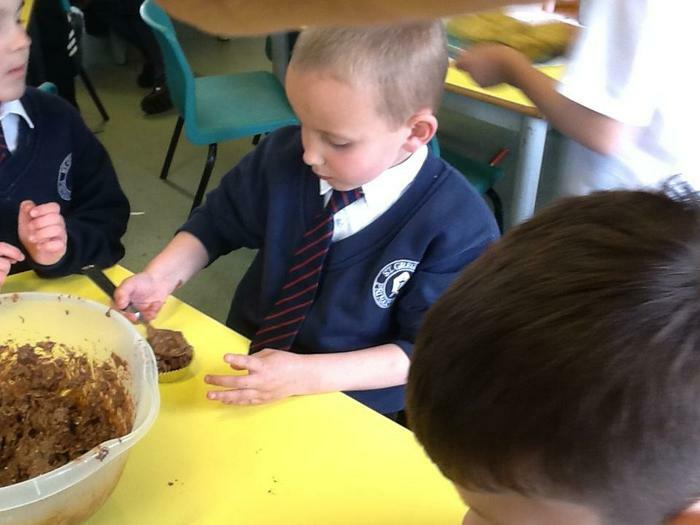 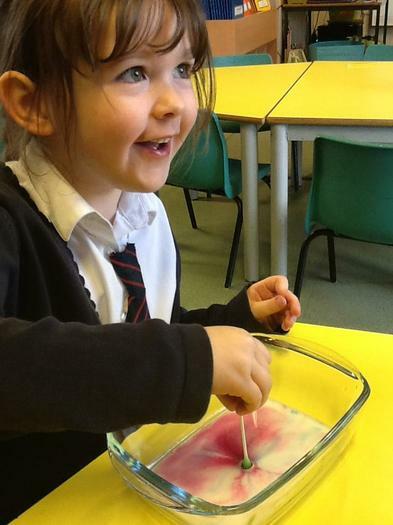 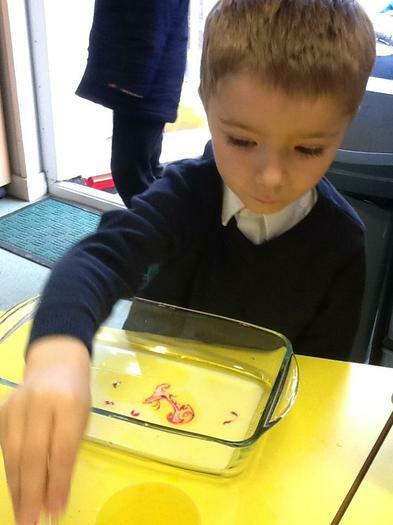 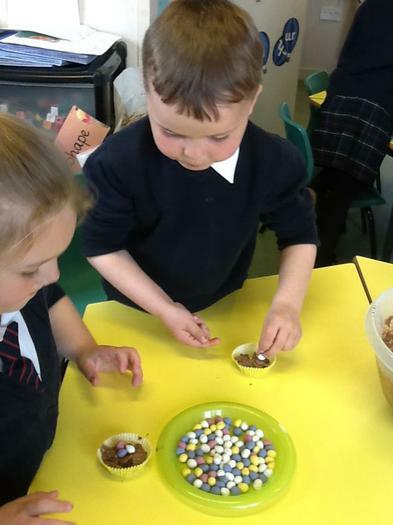 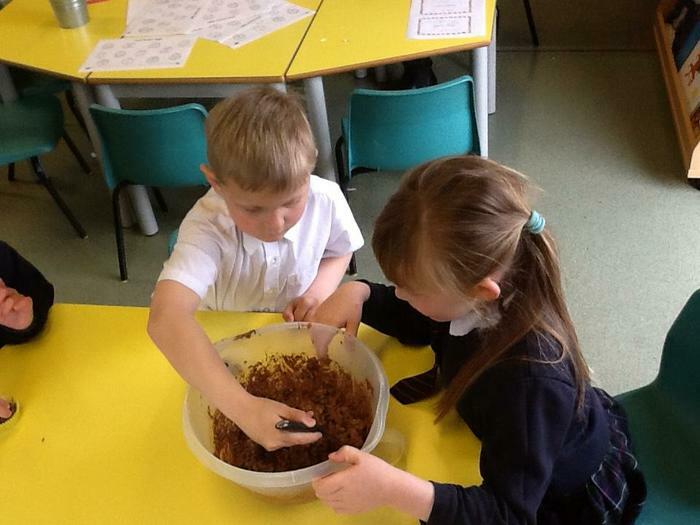 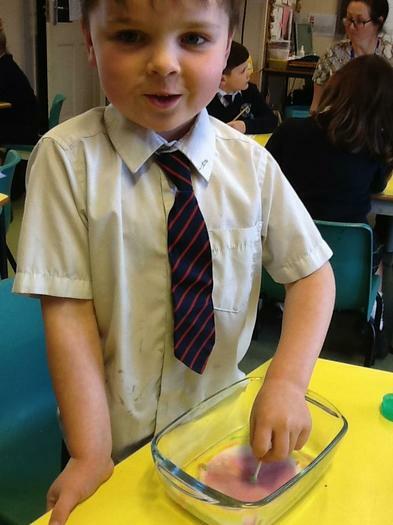 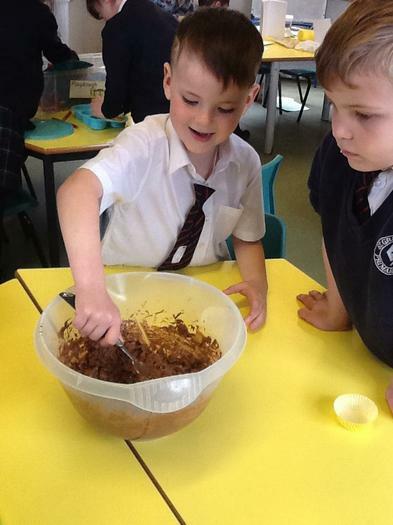 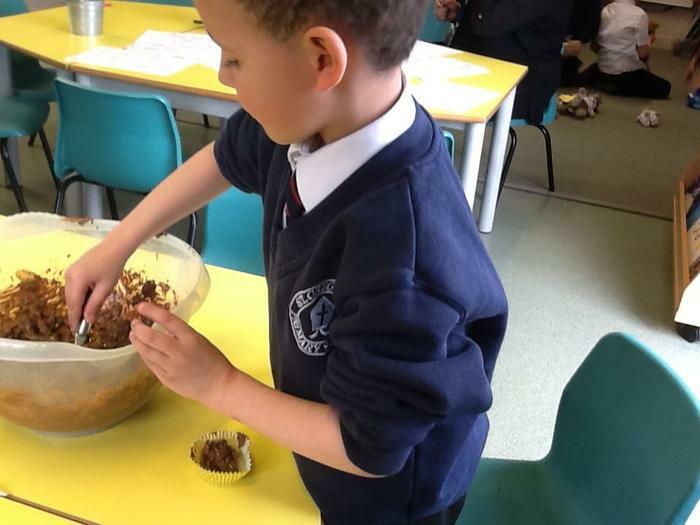 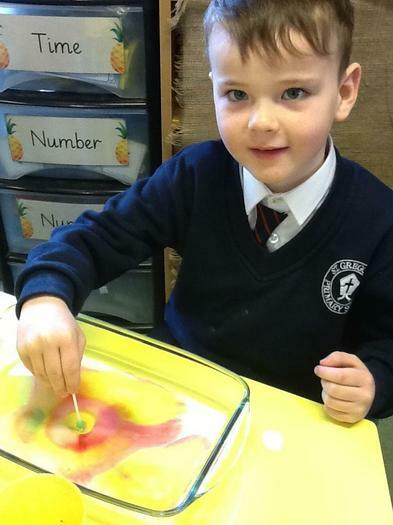 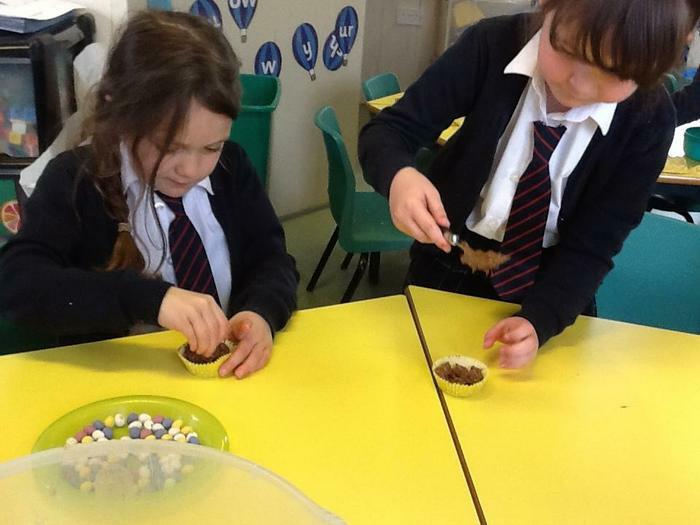 We have made Easter crafts and made tasty chocolate Easter nests. 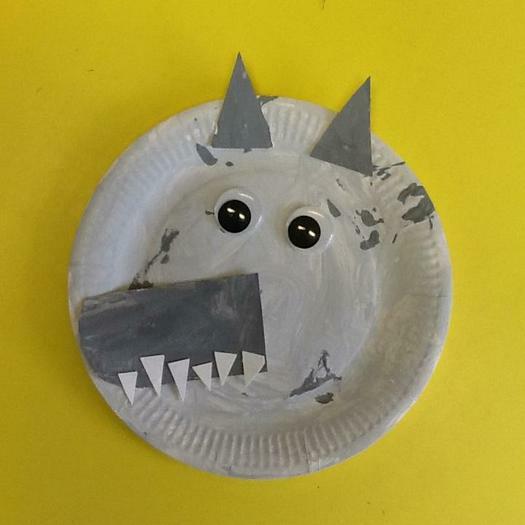 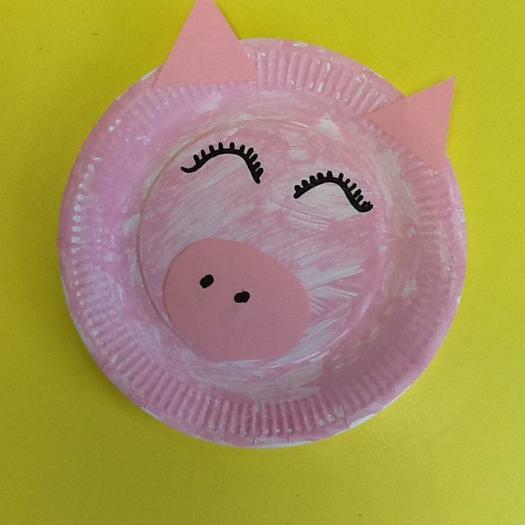 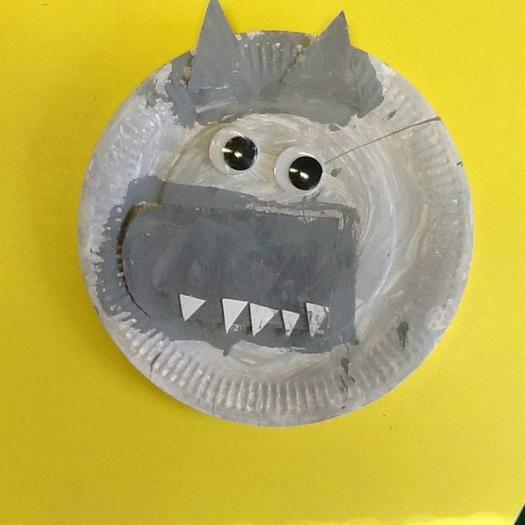 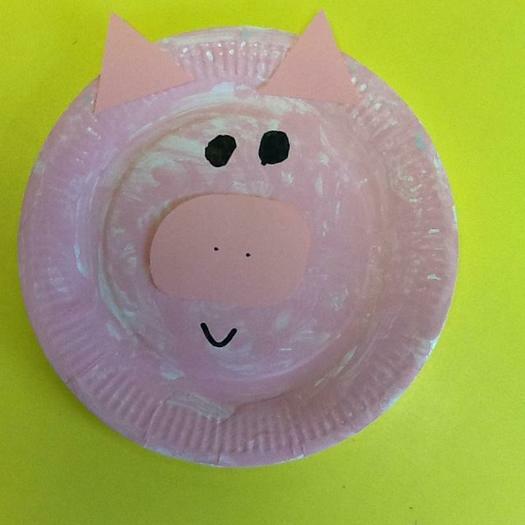 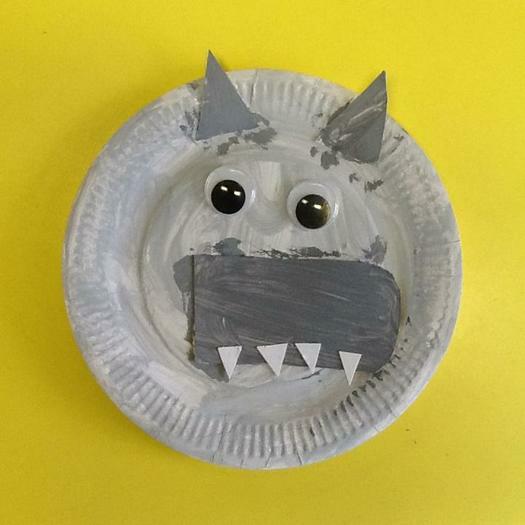 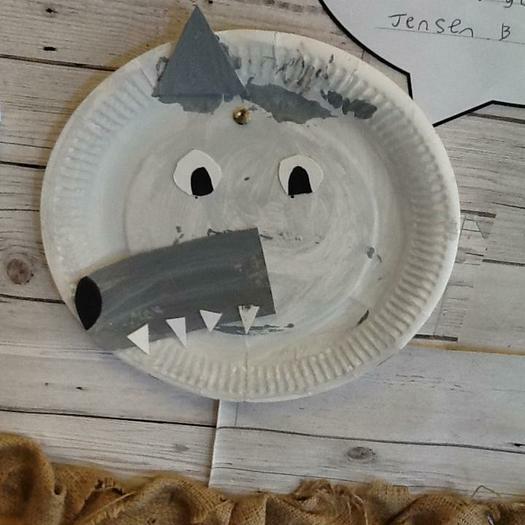 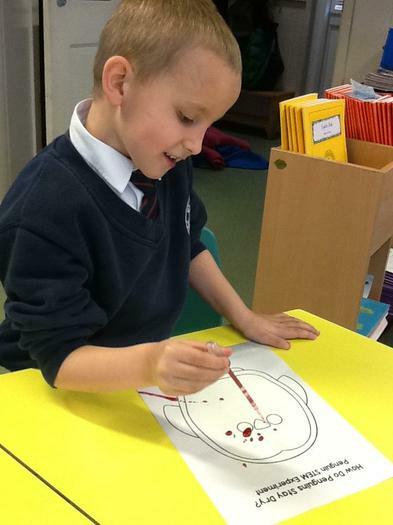 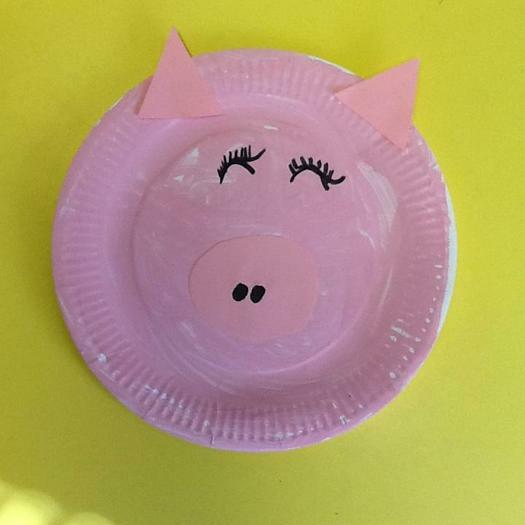 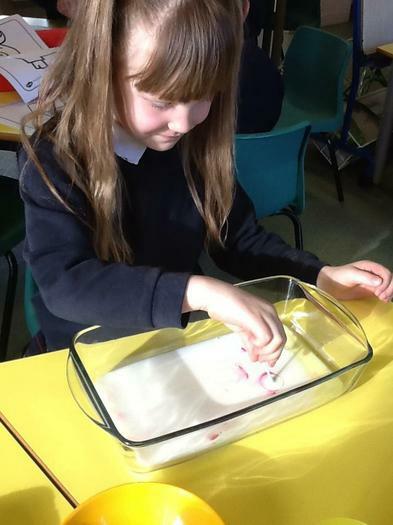 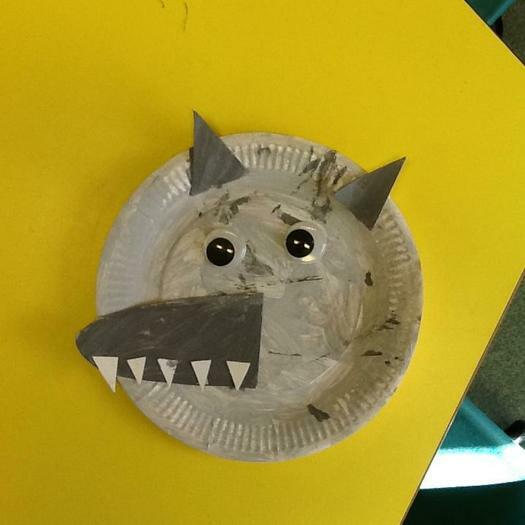 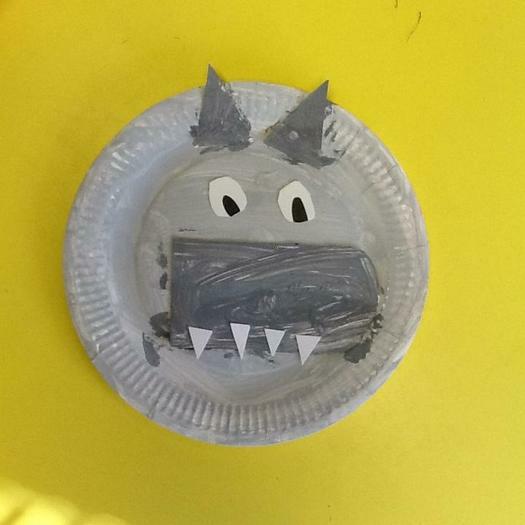 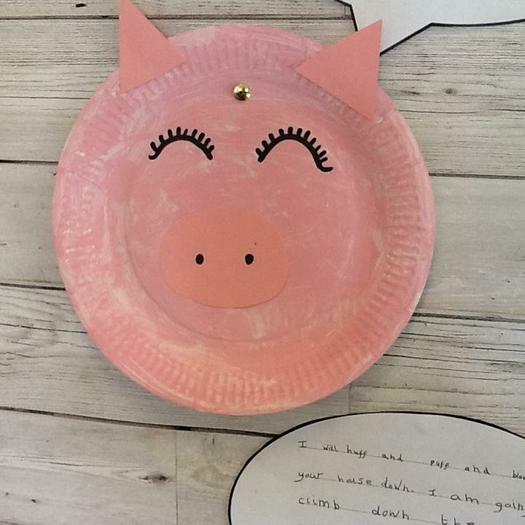 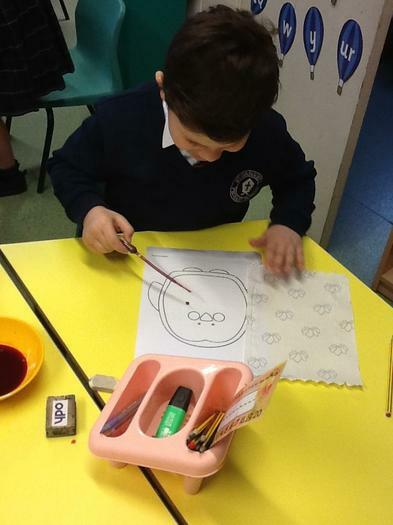 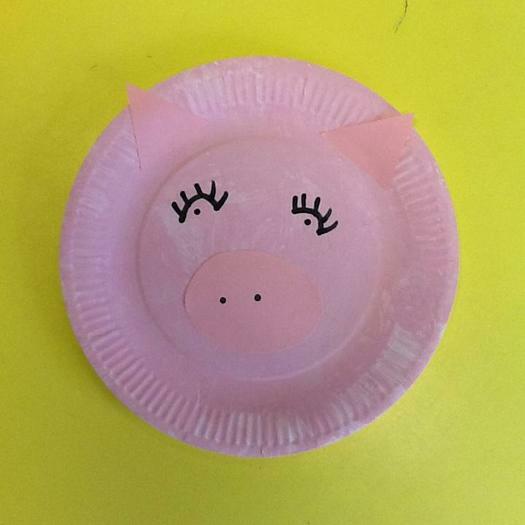 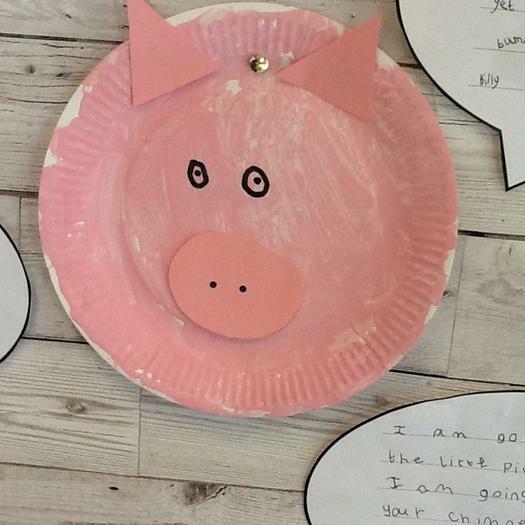 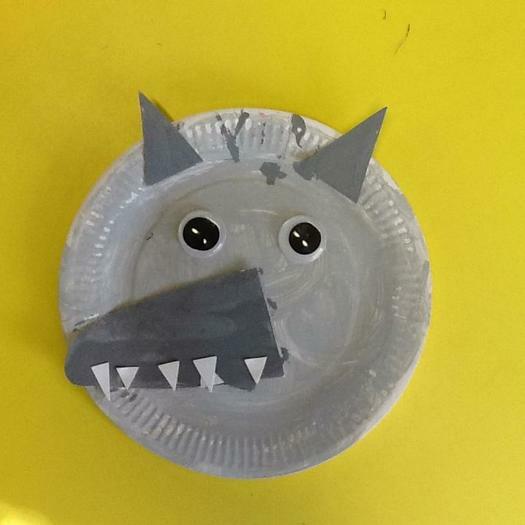 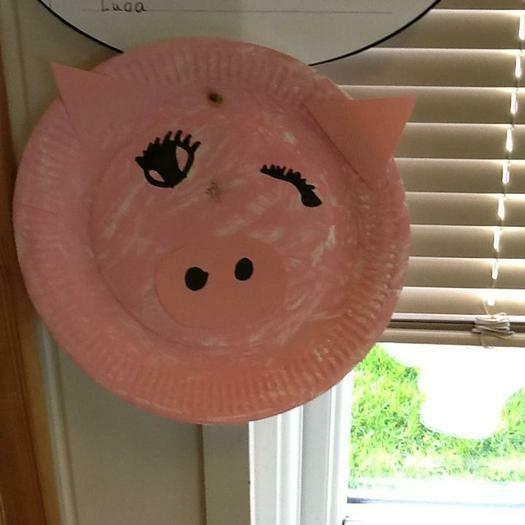 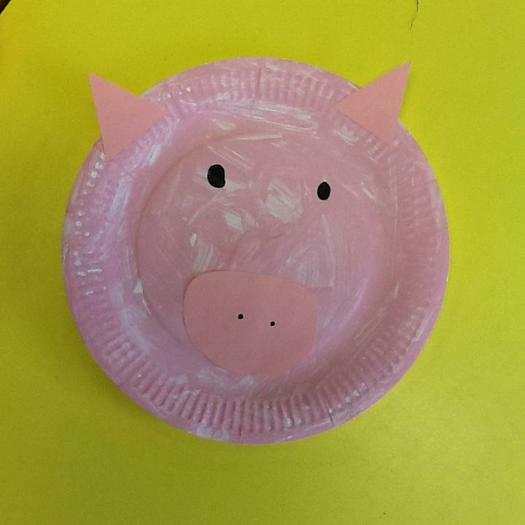 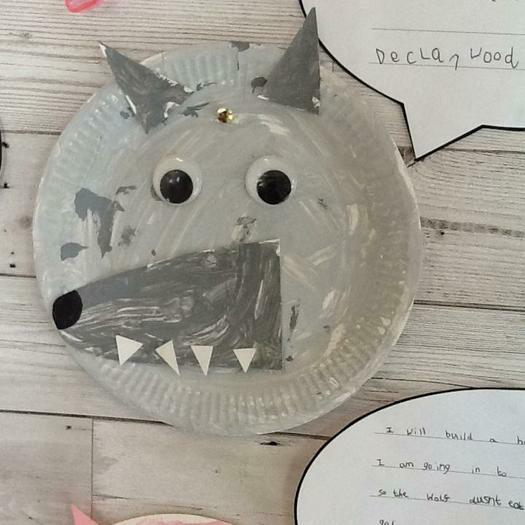 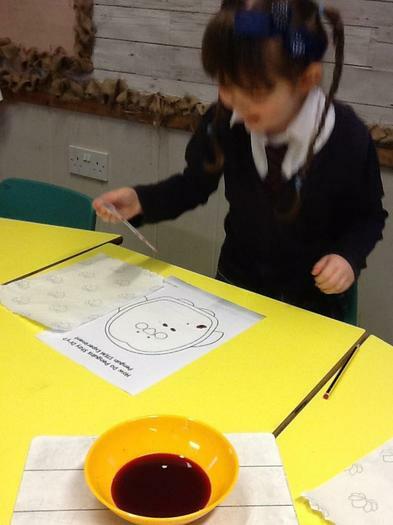 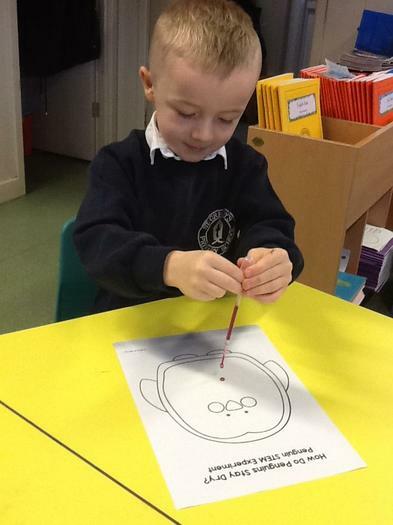 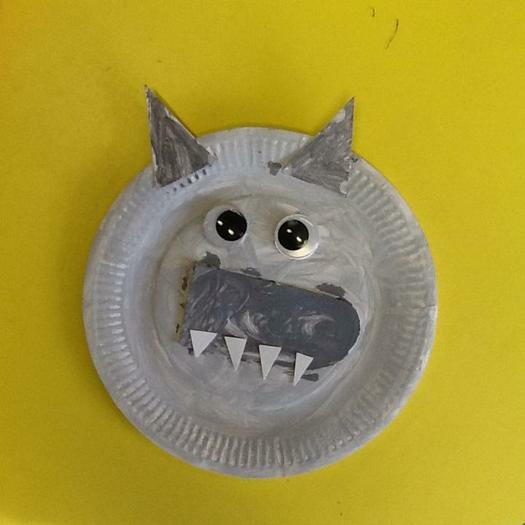 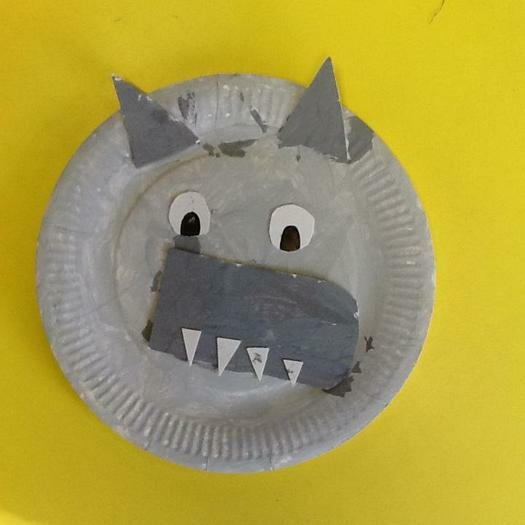 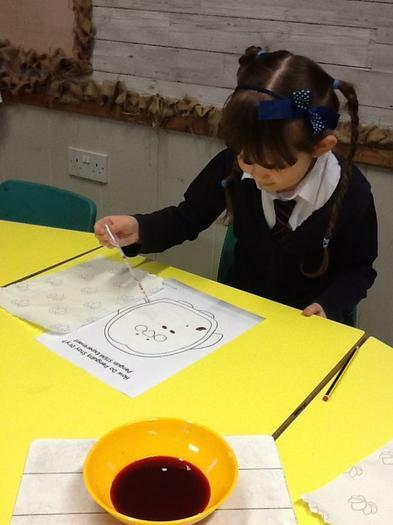 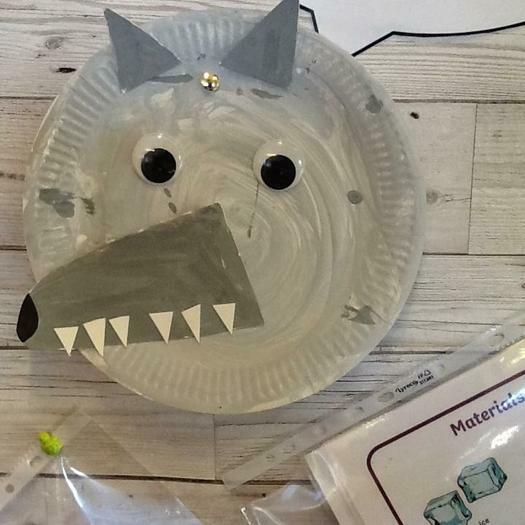 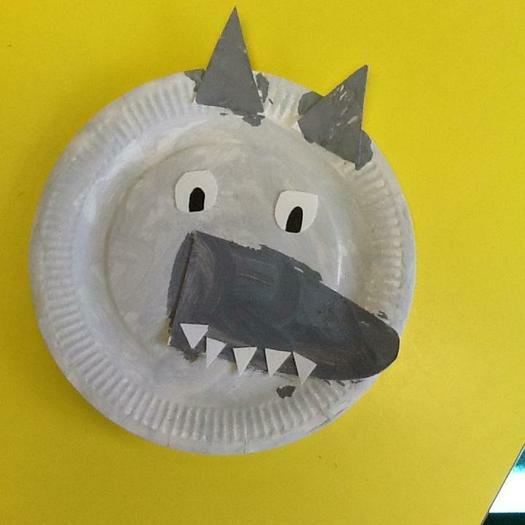 We have been making three little pig masks in art. 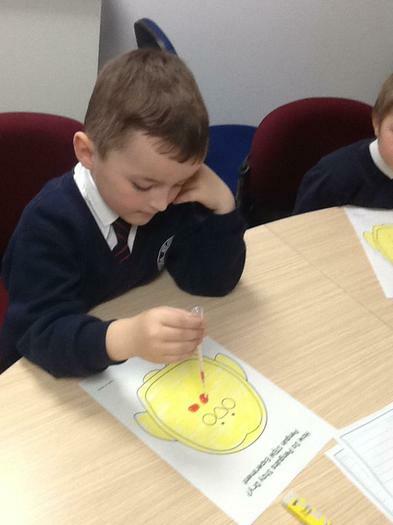 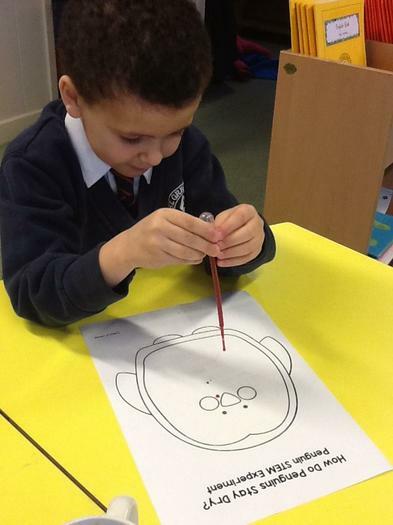 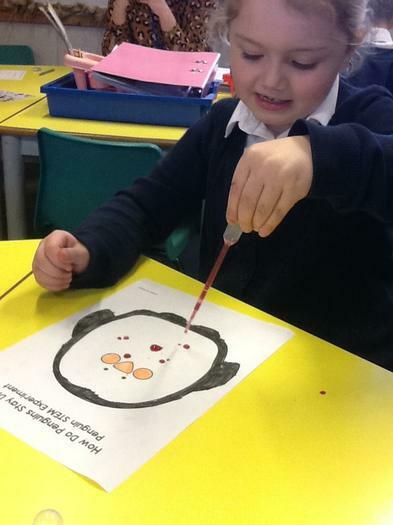 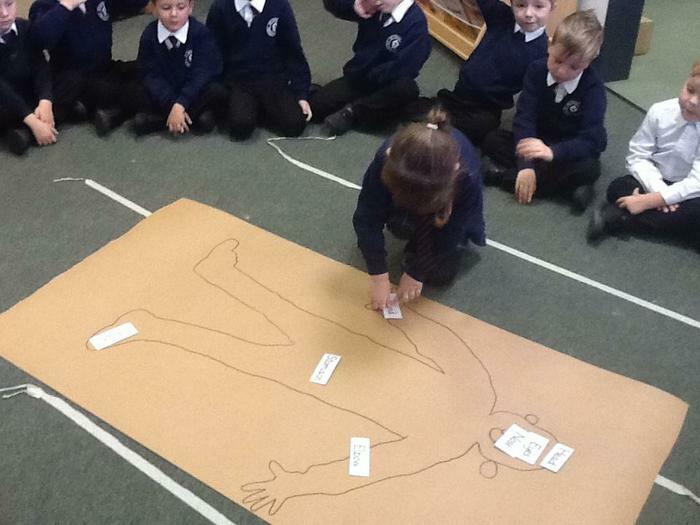 In literacy we added a speech bubble to them to think about what that character might say. 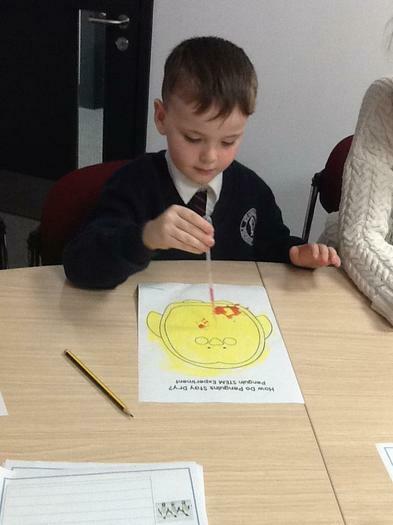 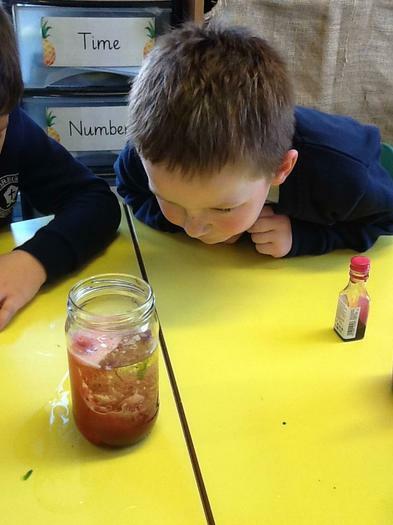 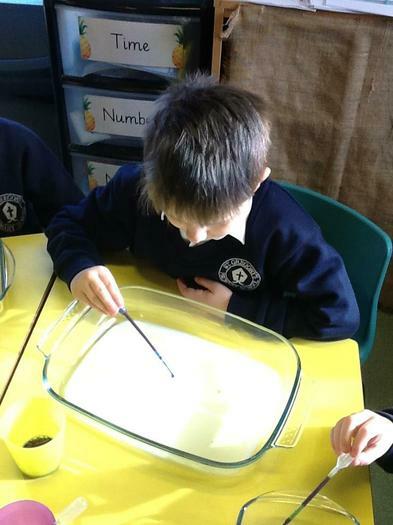 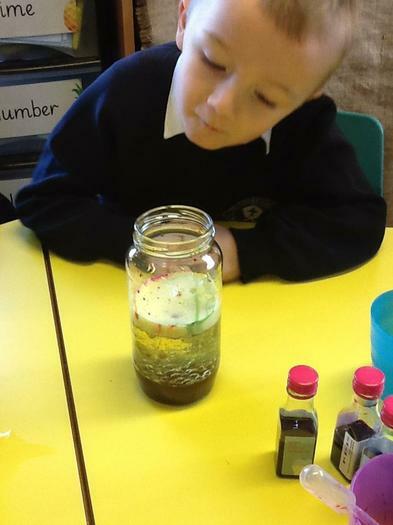 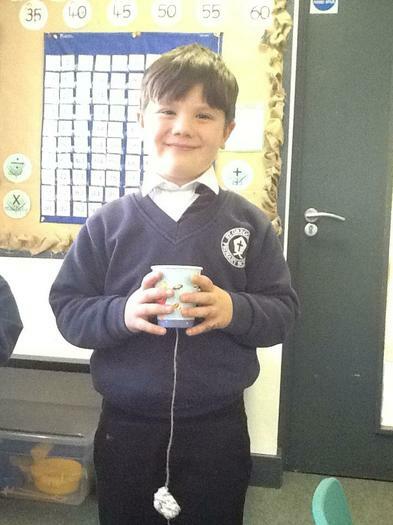 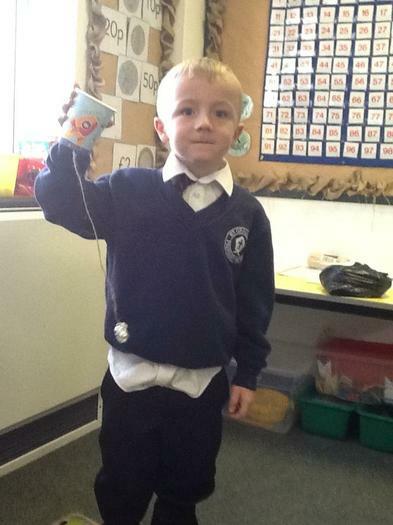 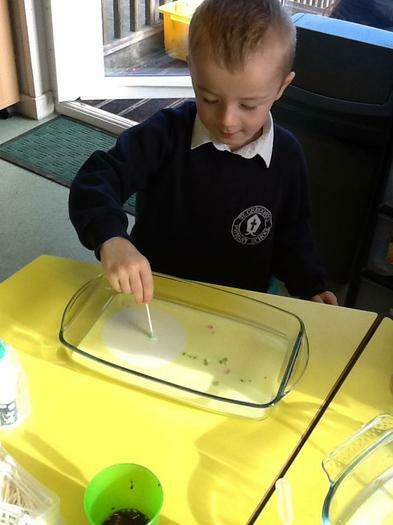 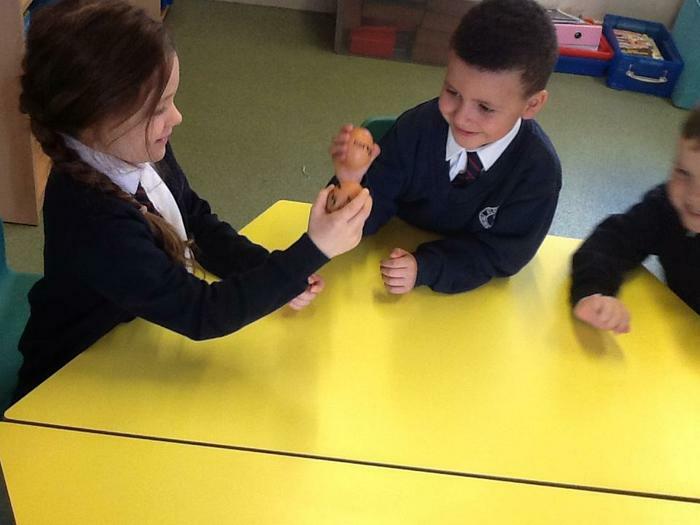 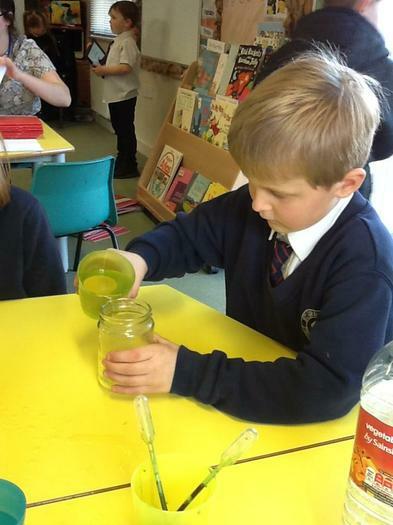 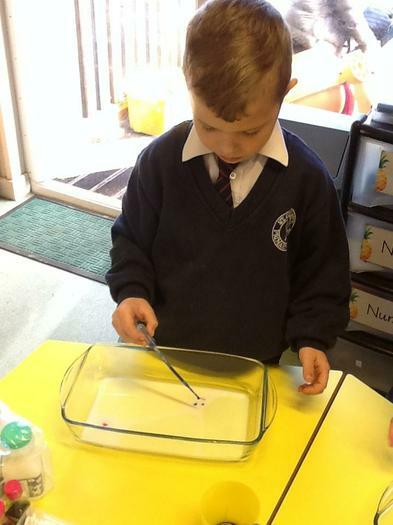 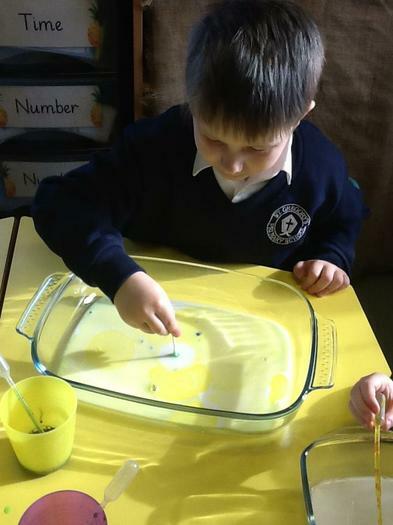 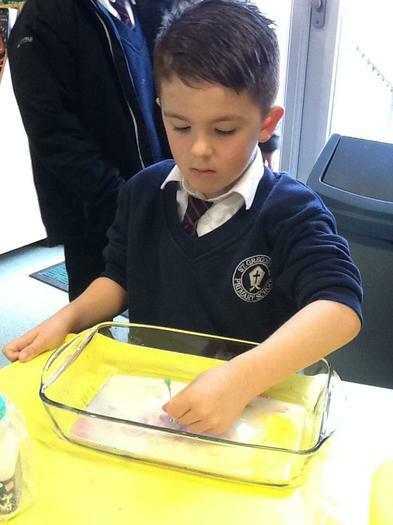 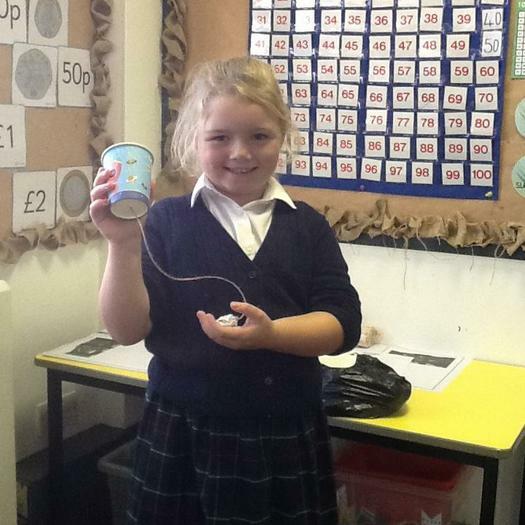 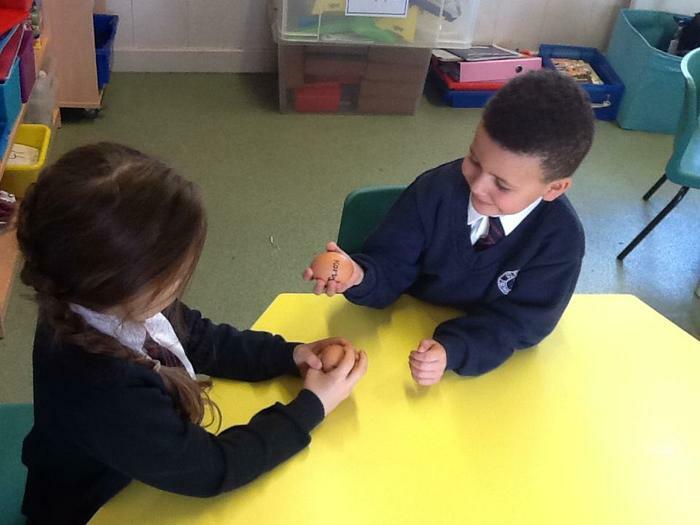 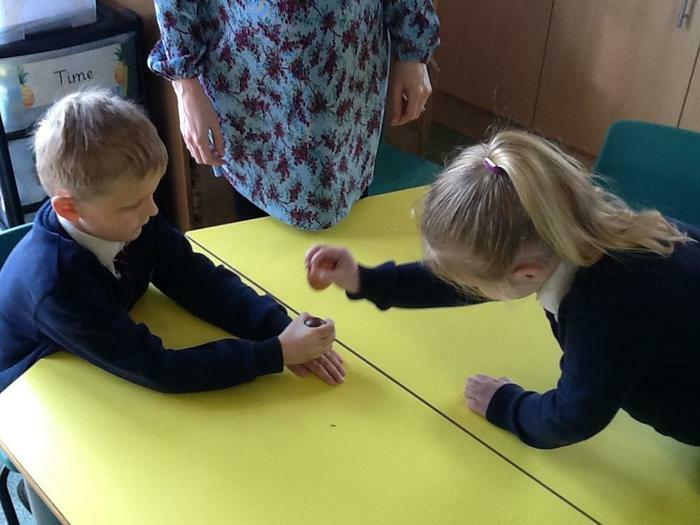 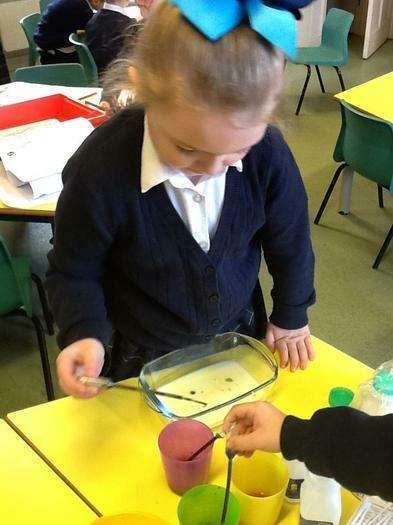 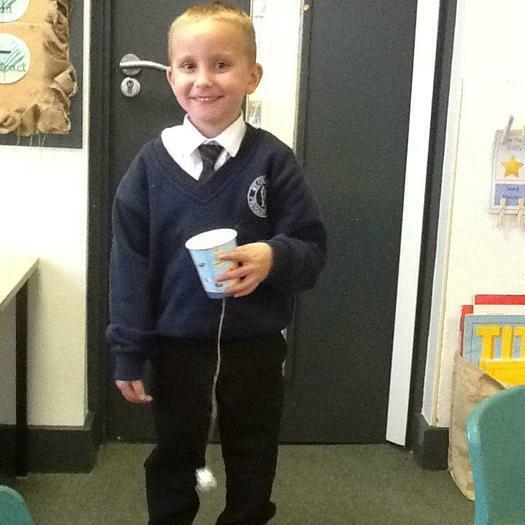 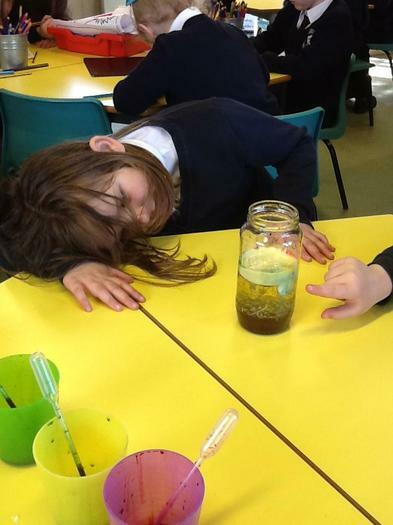 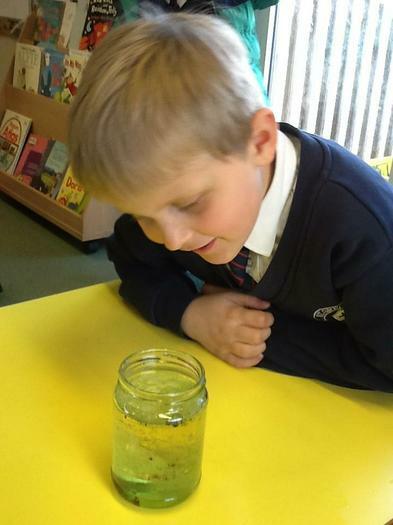 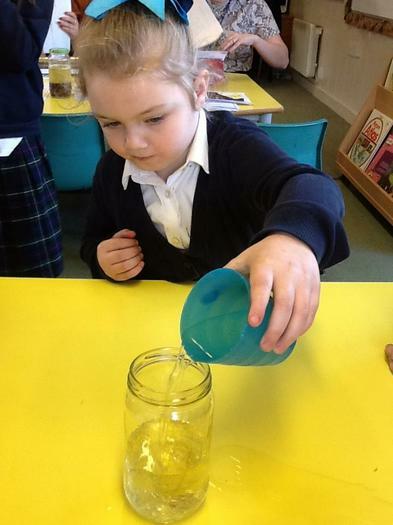 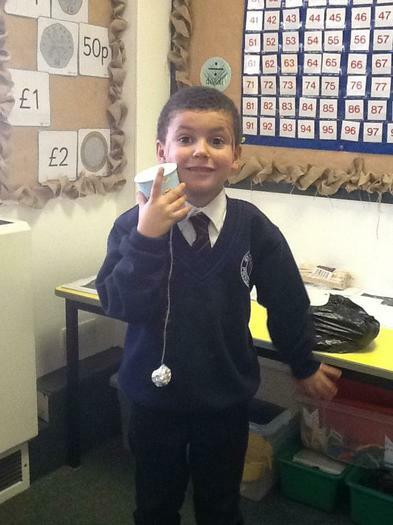 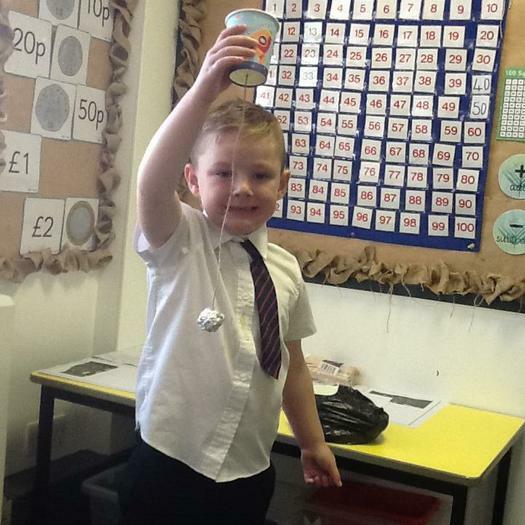 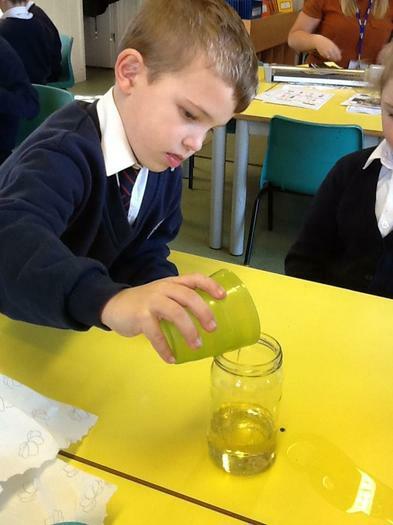 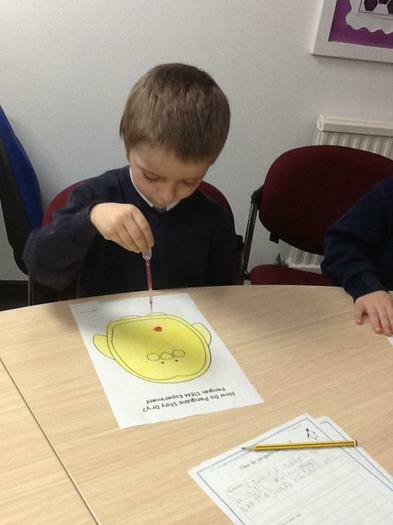 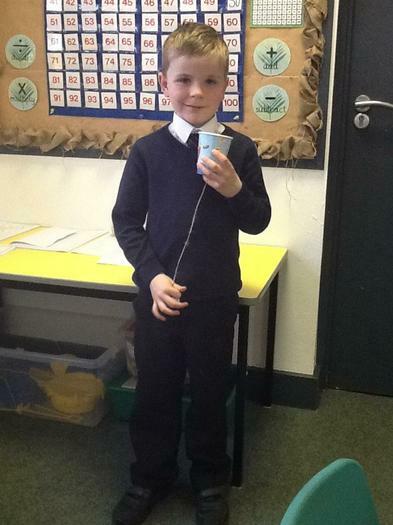 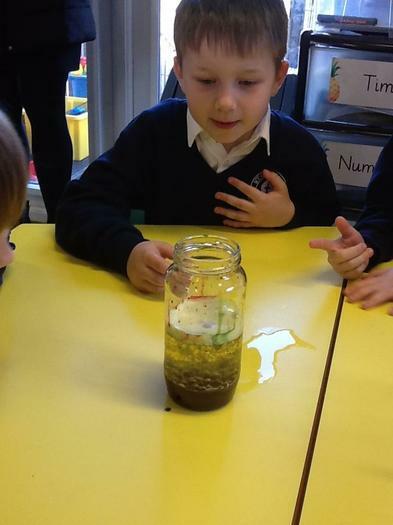 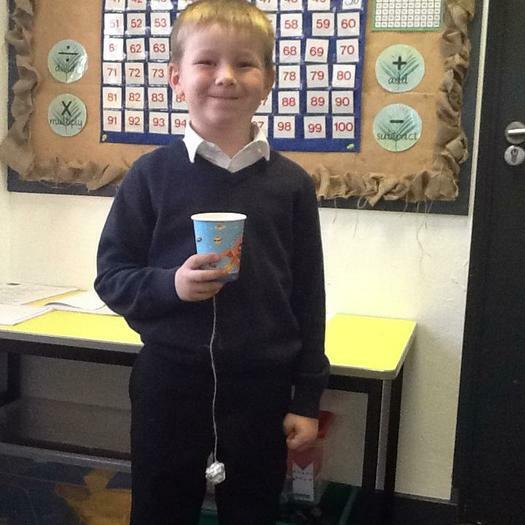 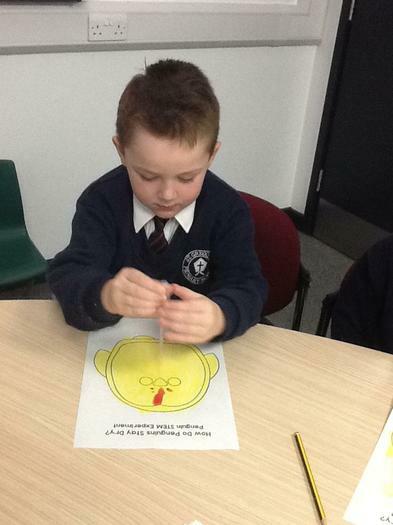 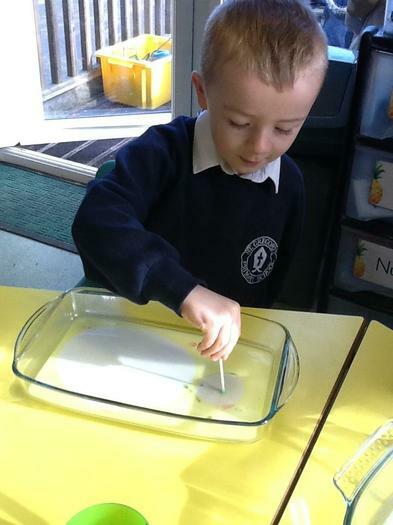 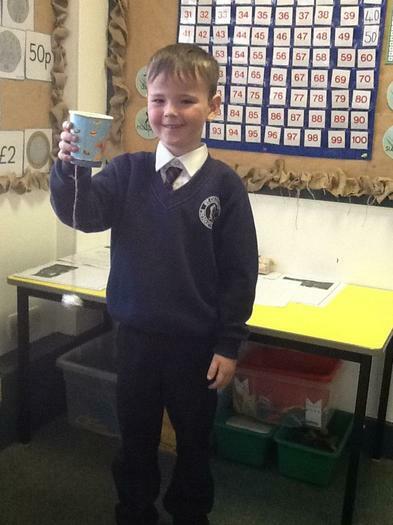 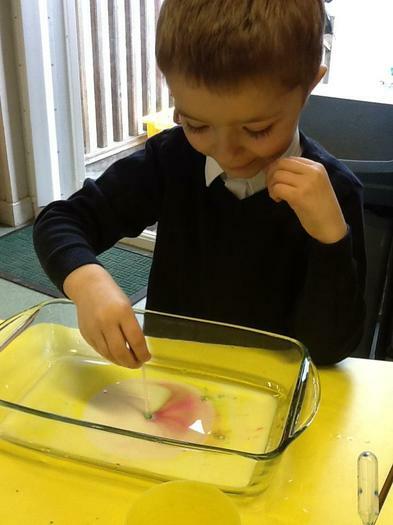 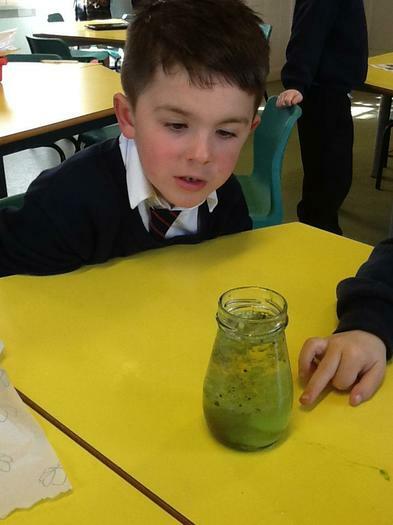 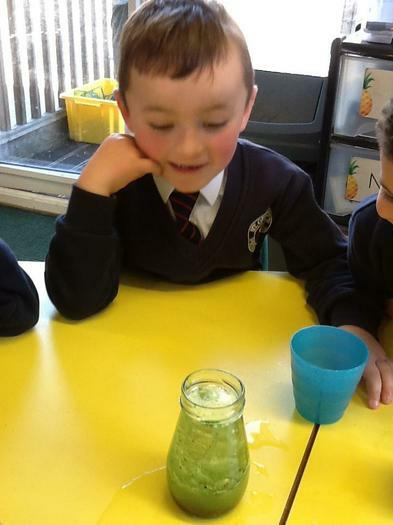 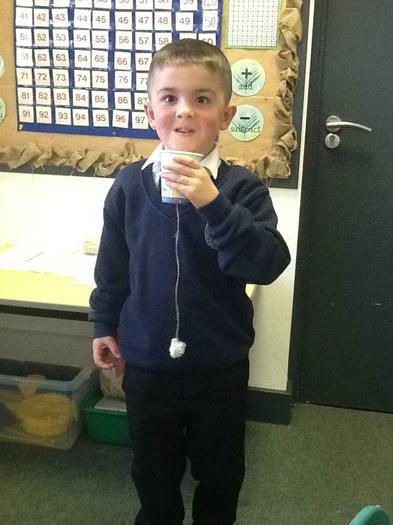 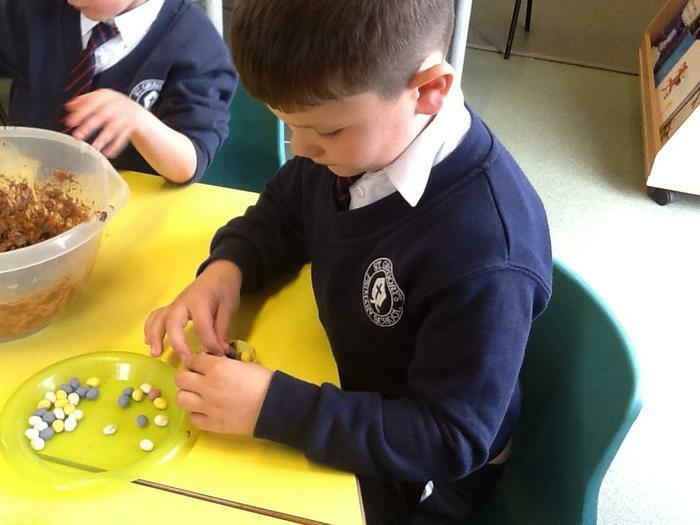 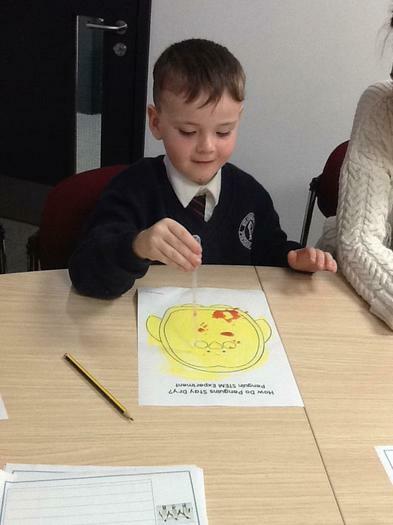 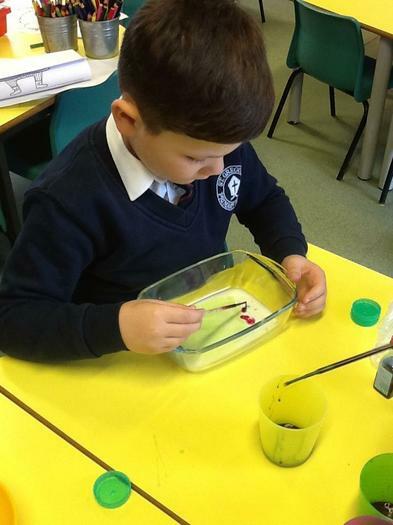 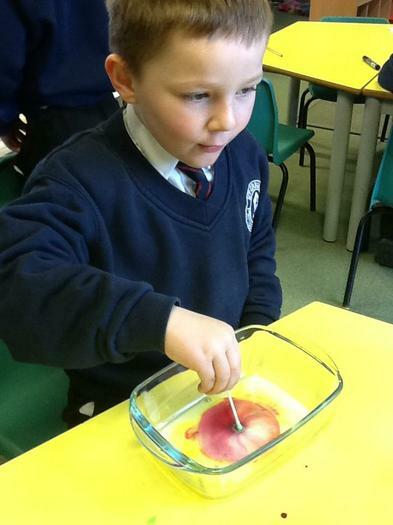 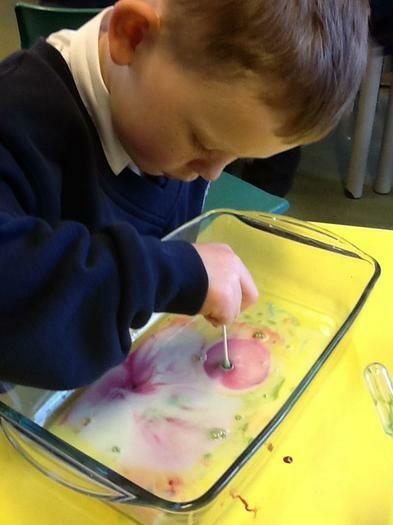 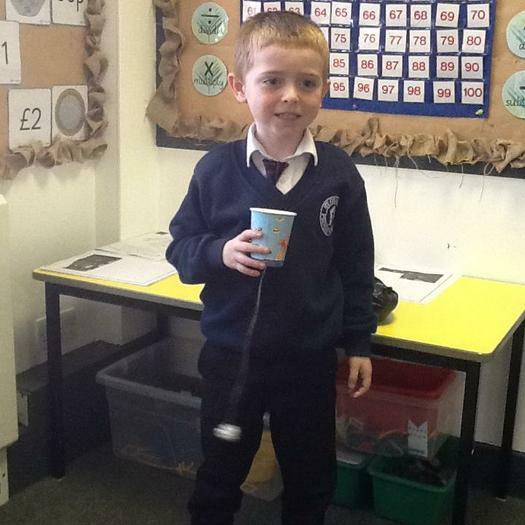 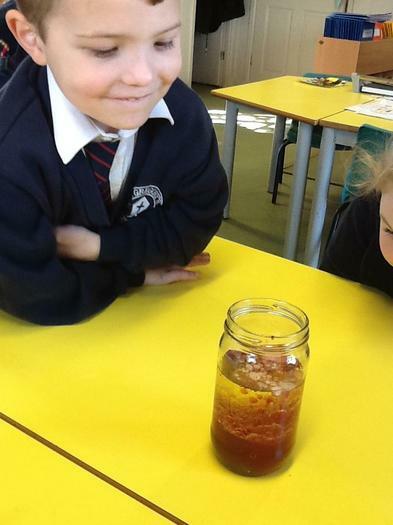 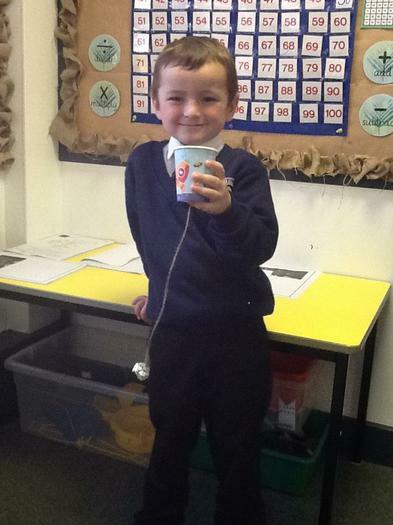 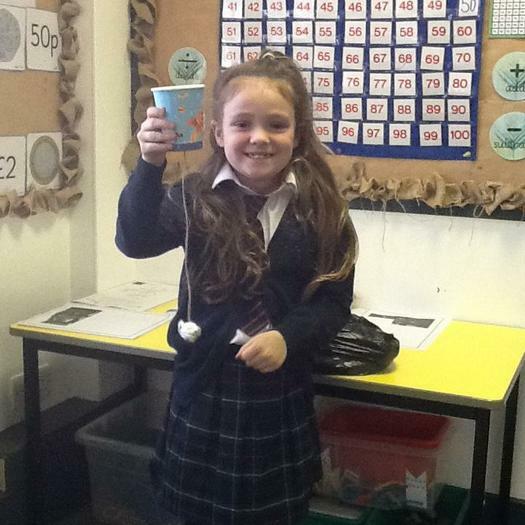 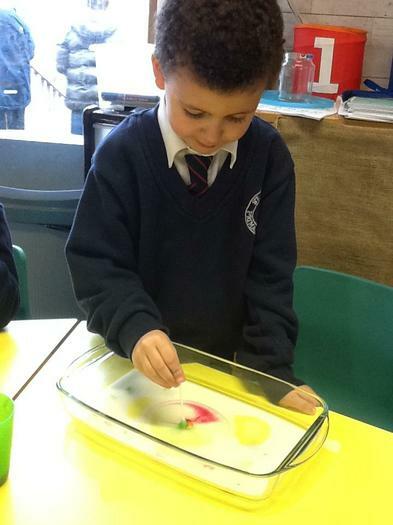 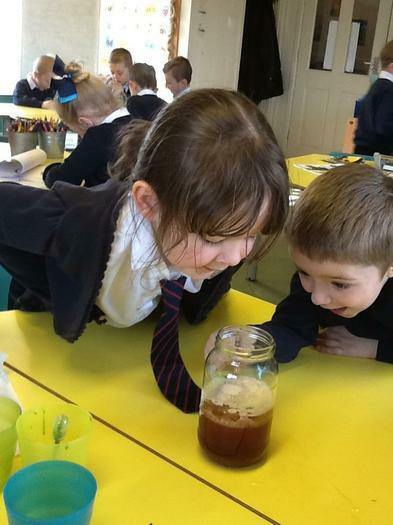 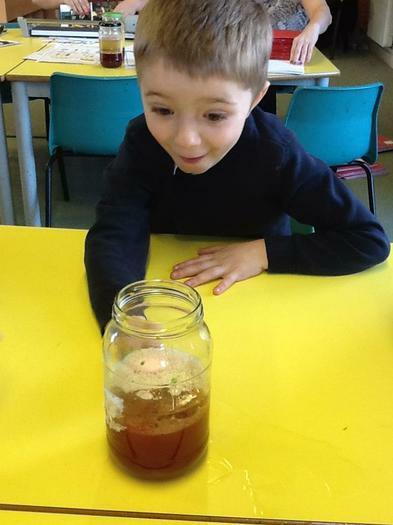 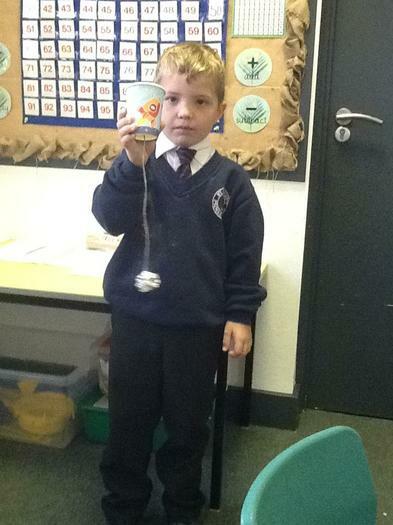 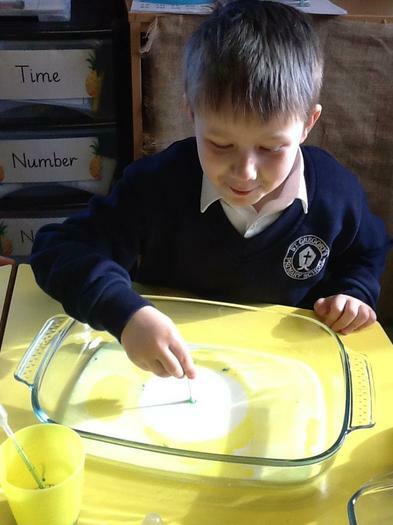 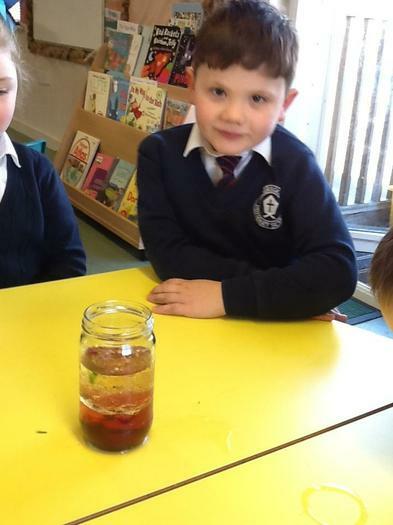 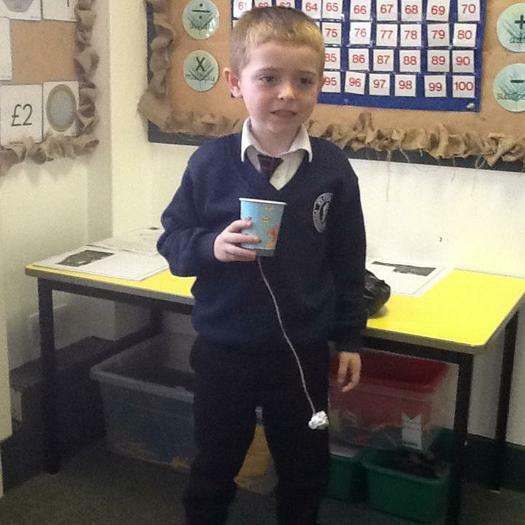 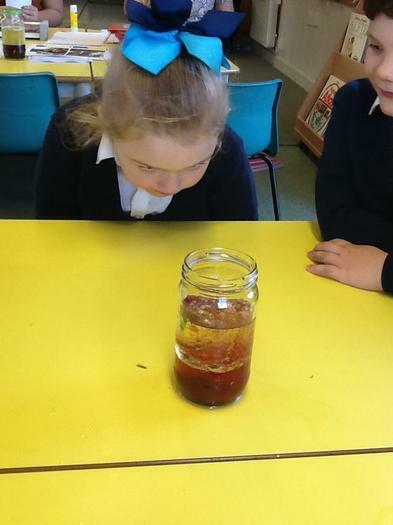 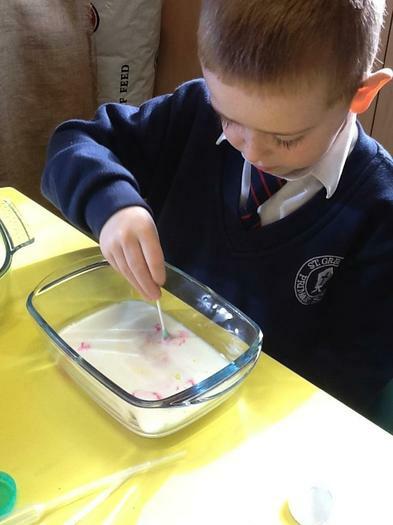 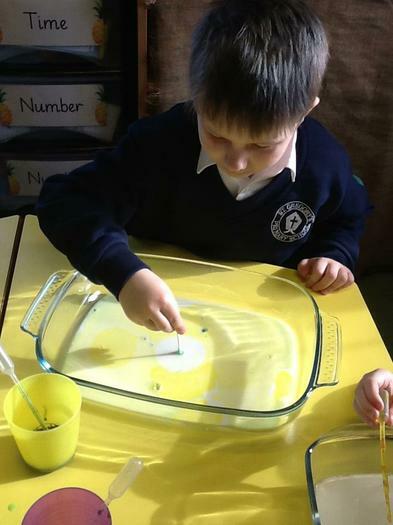 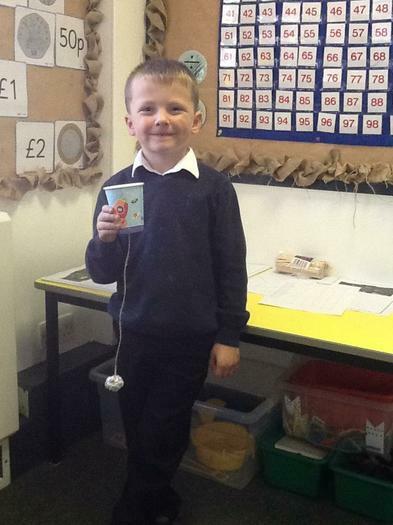 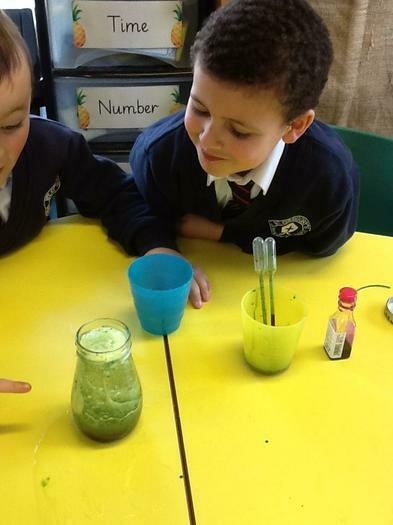 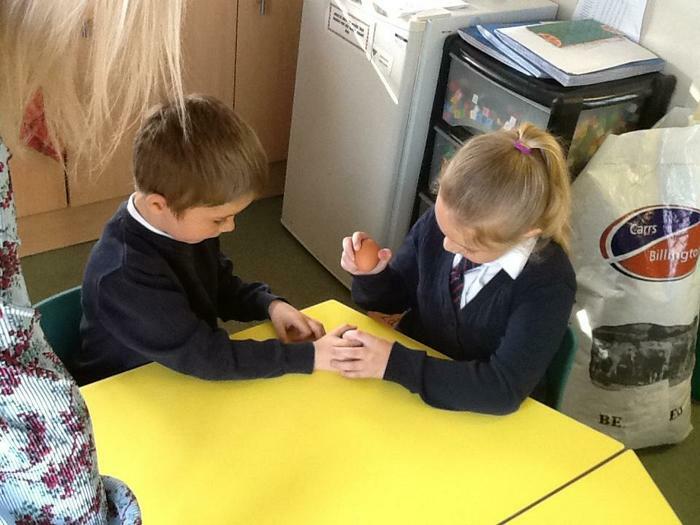 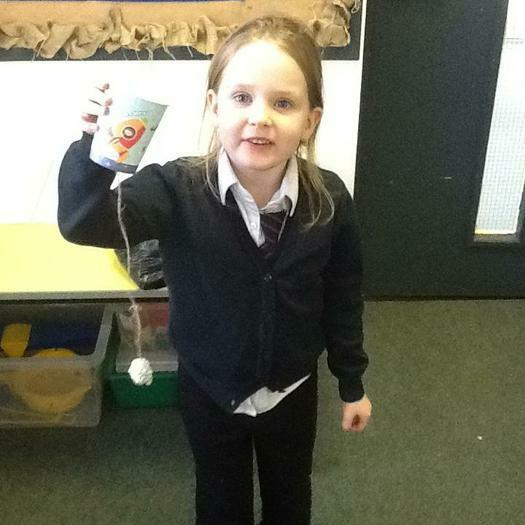 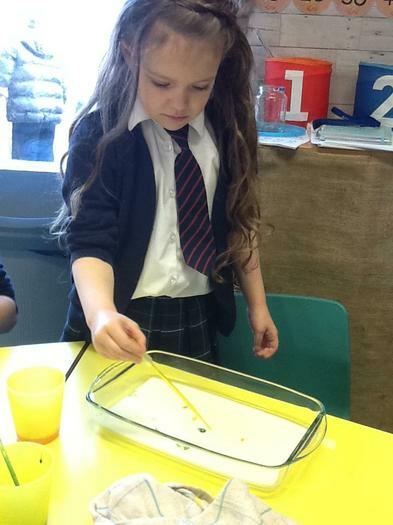 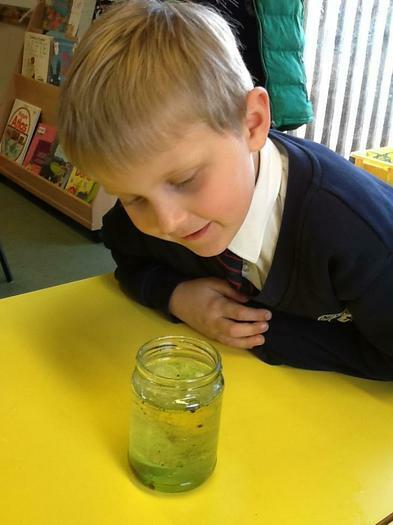 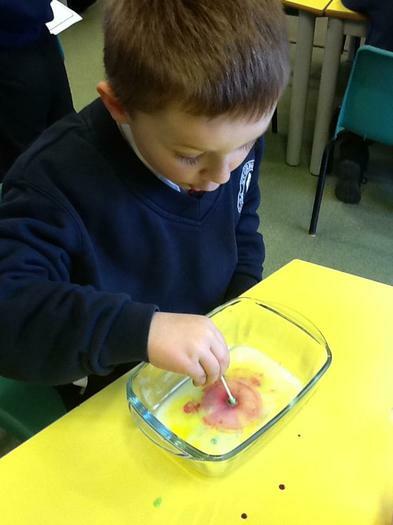 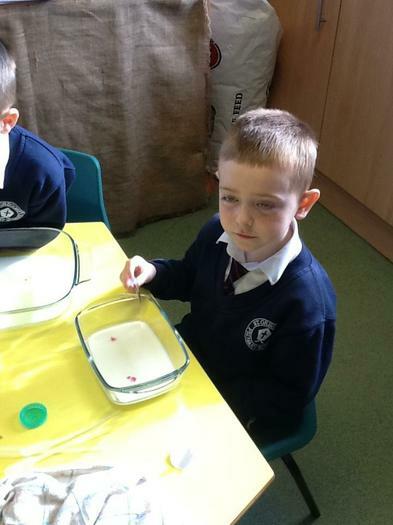 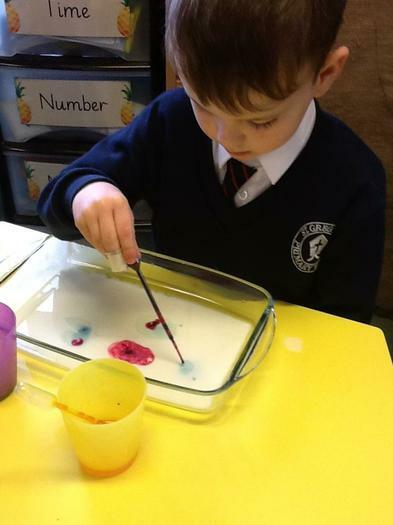 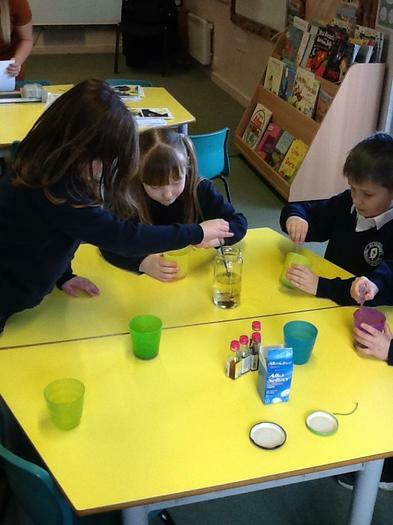 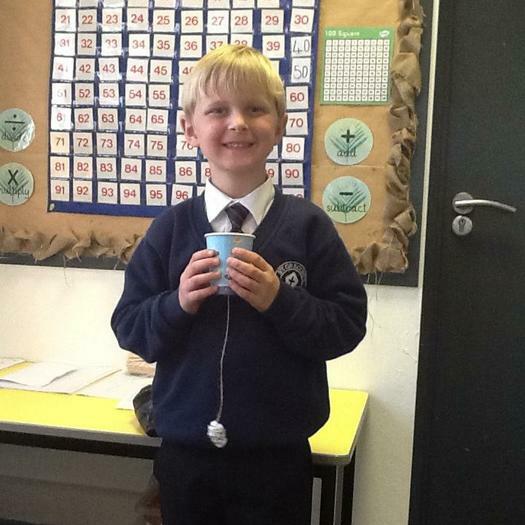 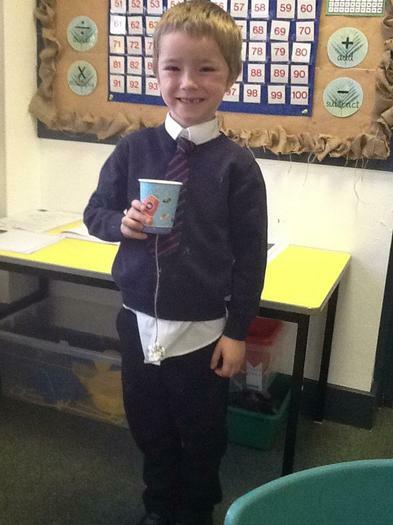 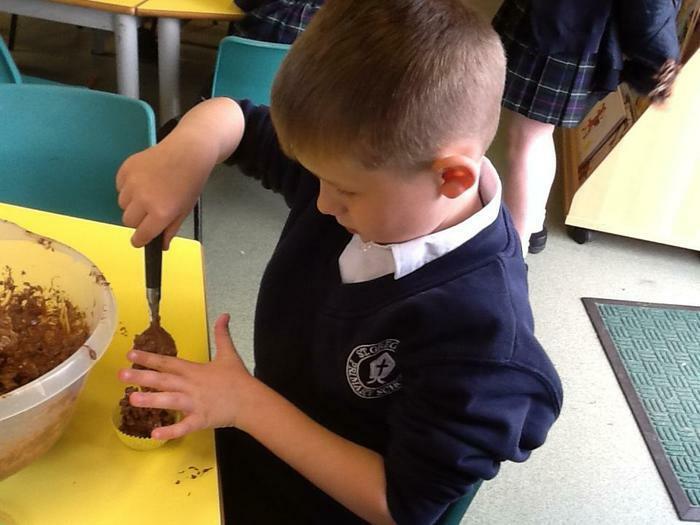 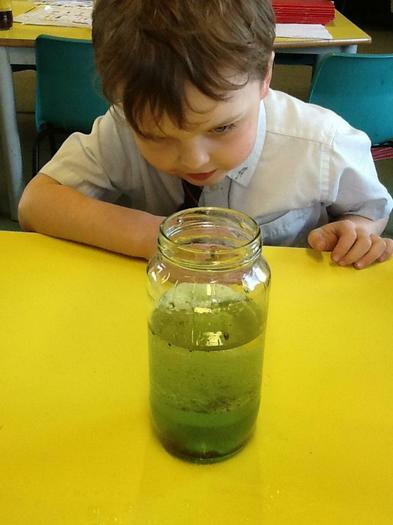 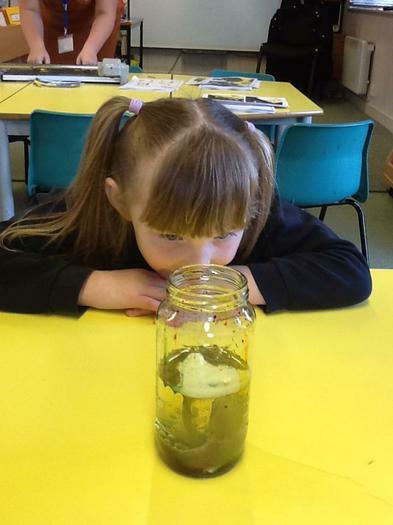 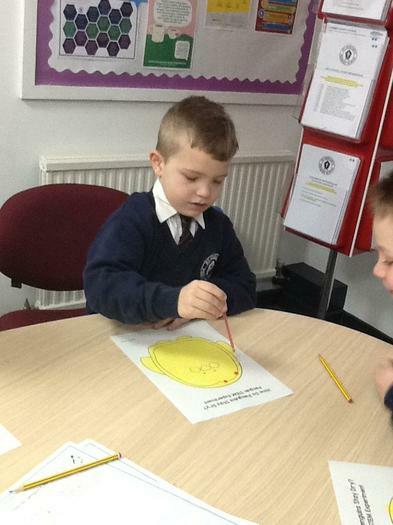 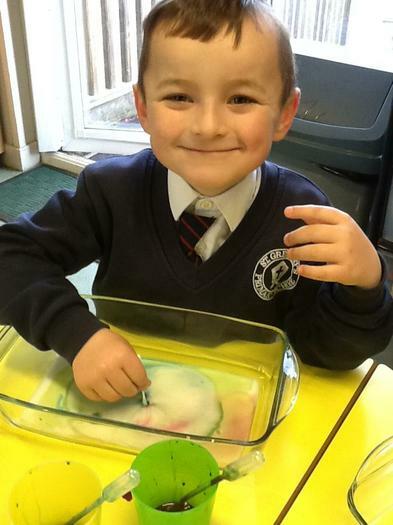 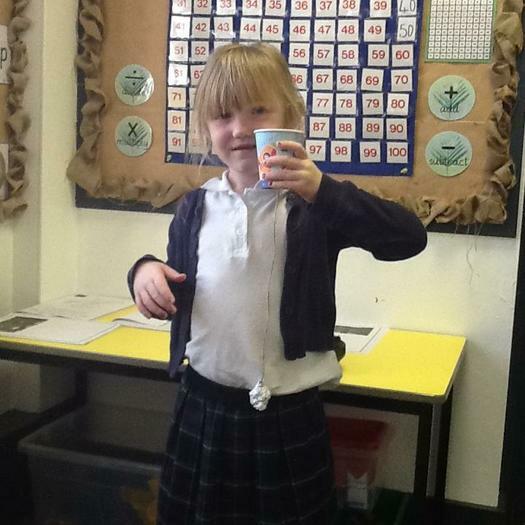 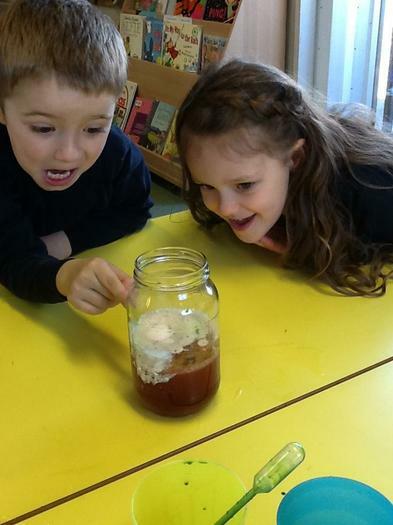 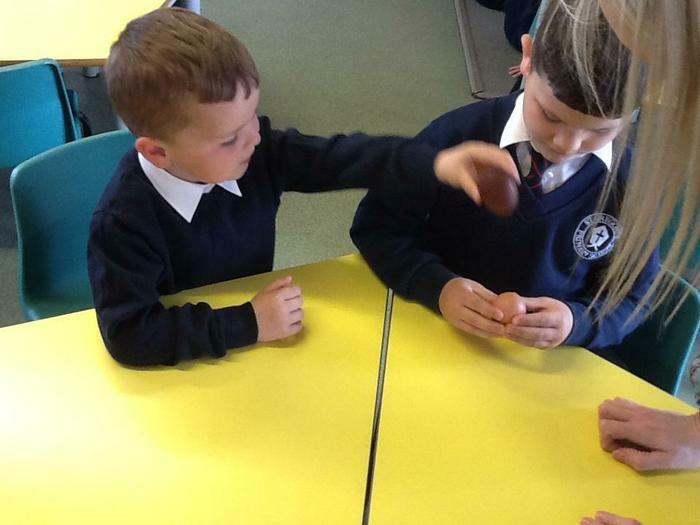 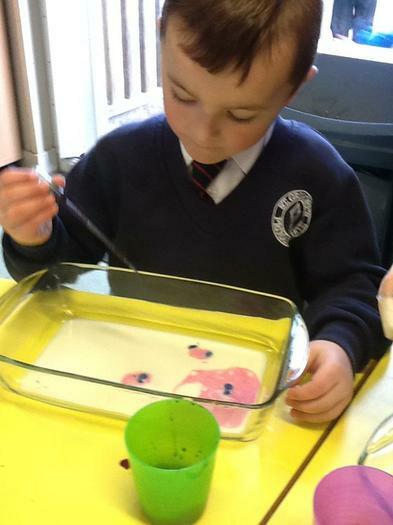 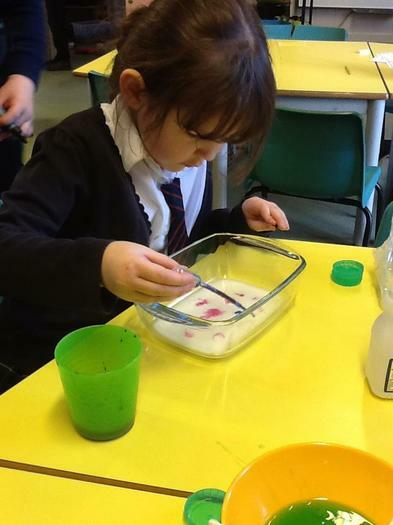 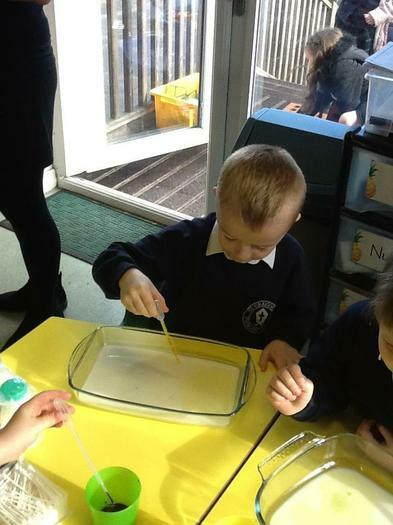 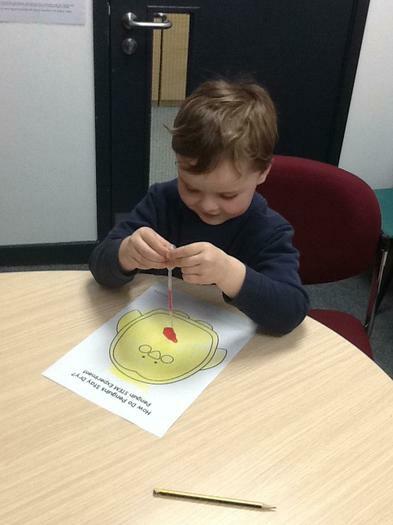 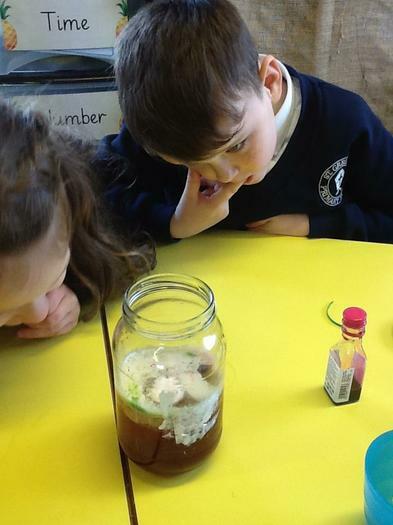 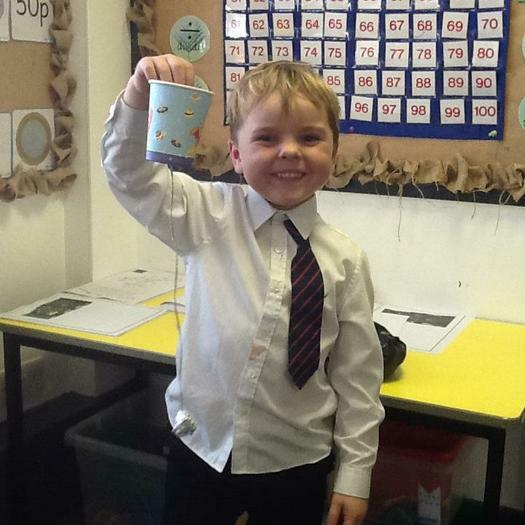 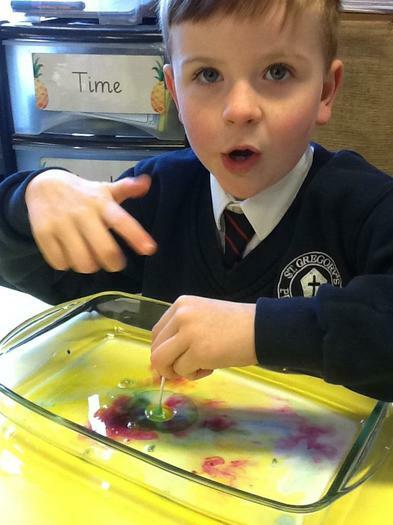 The children really enjoyed making cup and ball toys as part of our topic about toys from the past. 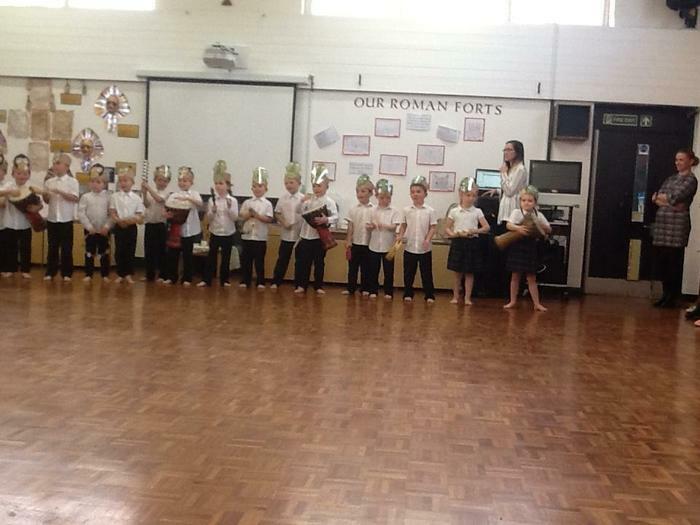 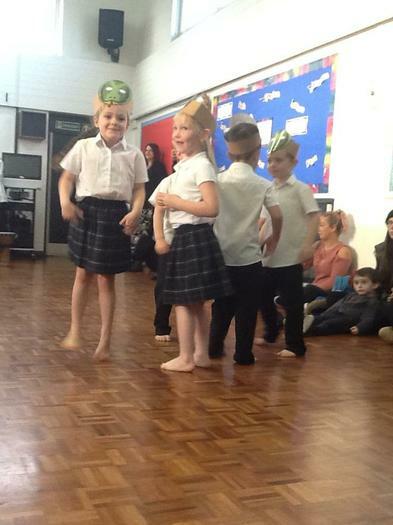 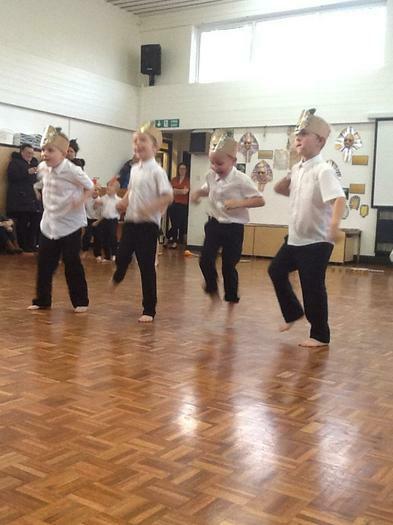 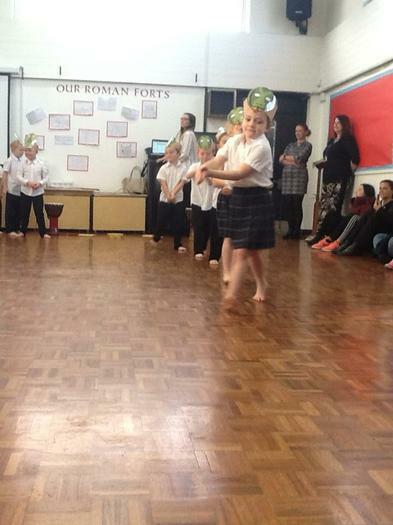 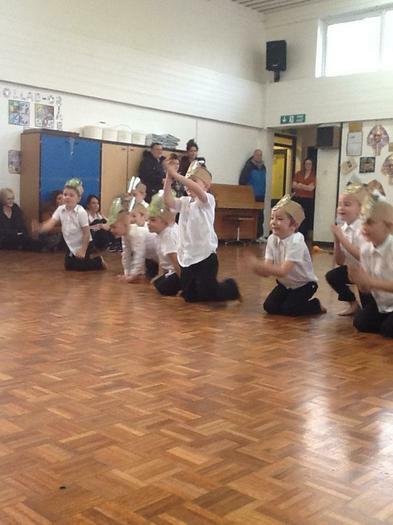 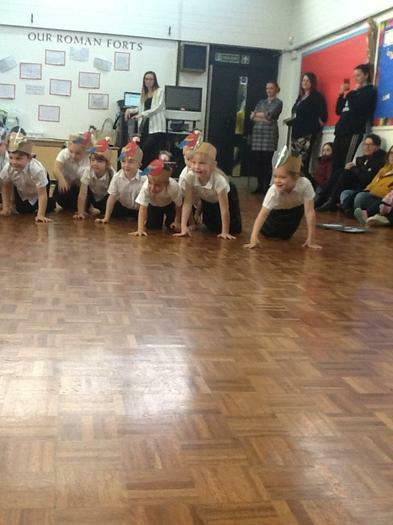 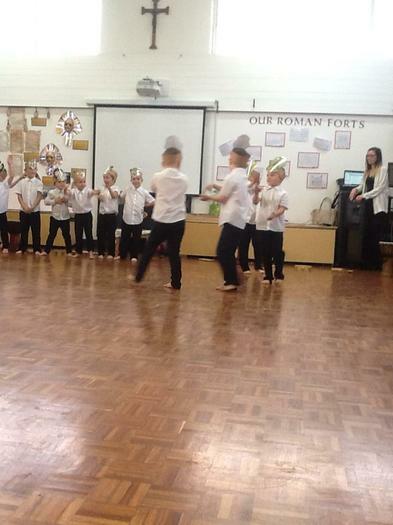 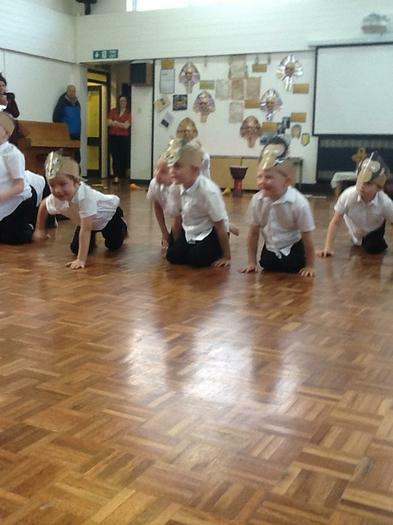 In P.E we have really enjoyed learning a dance. 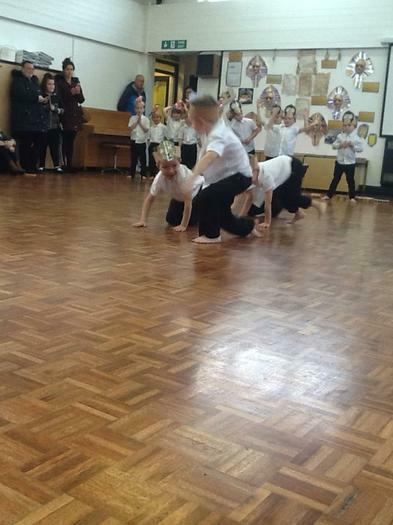 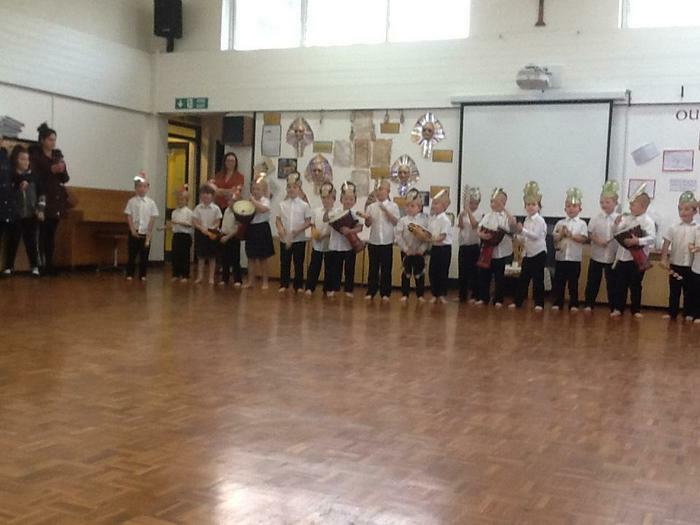 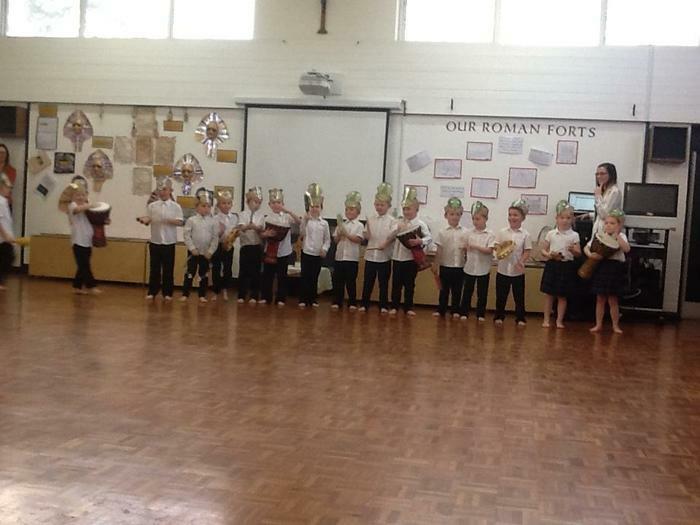 We liked performing this for our grown ups in our curriculum in action assembly. 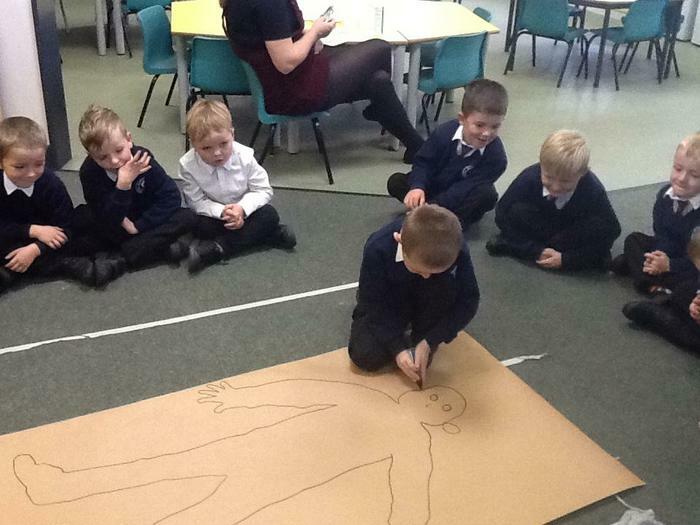 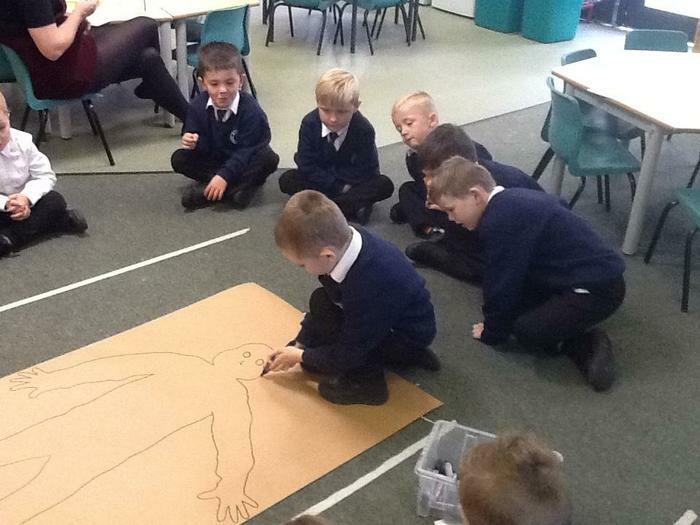 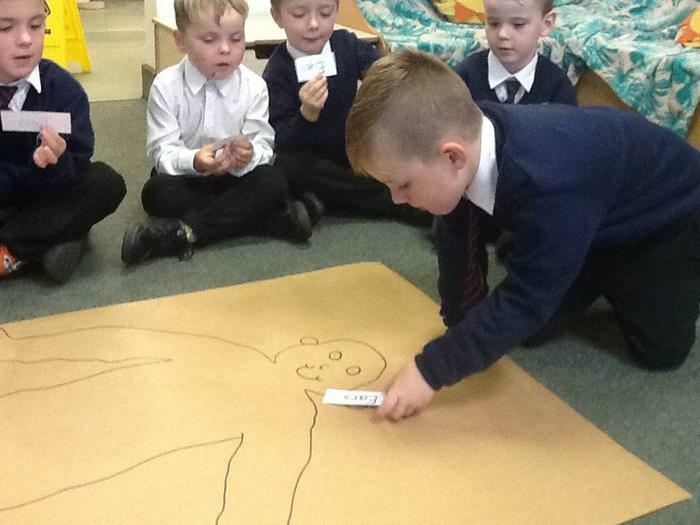 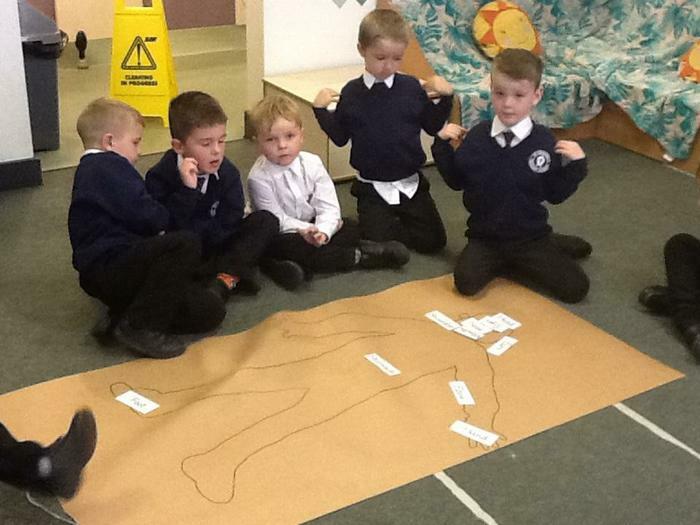 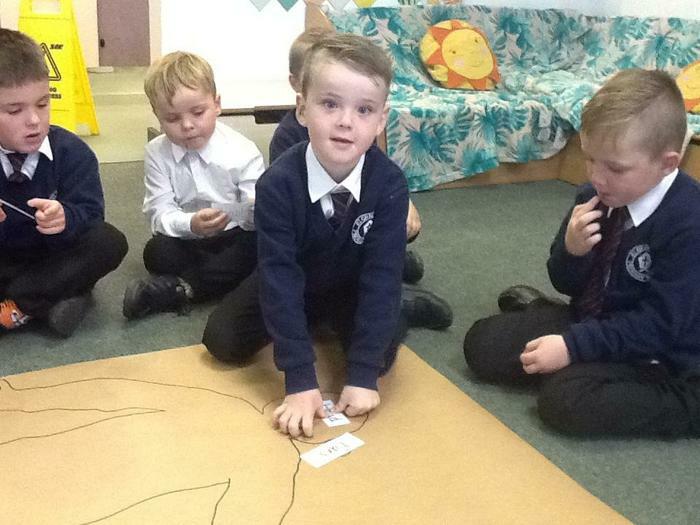 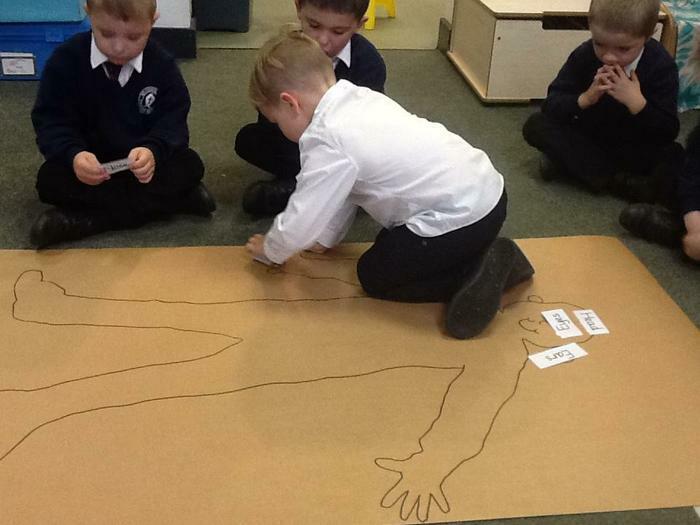 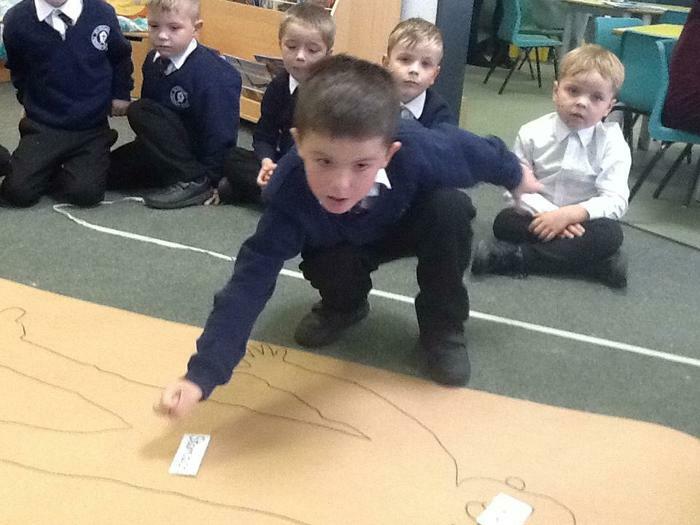 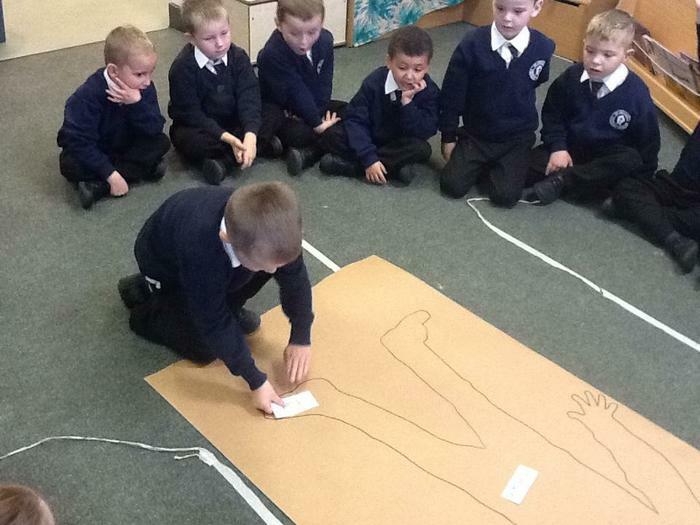 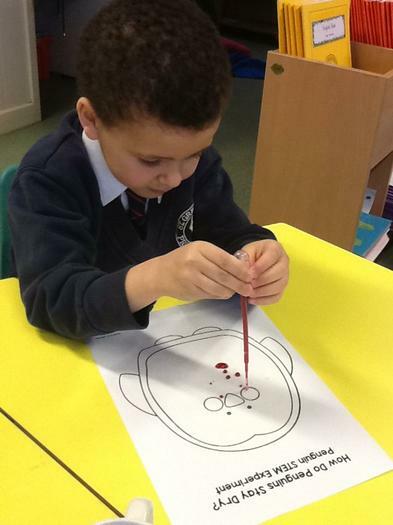 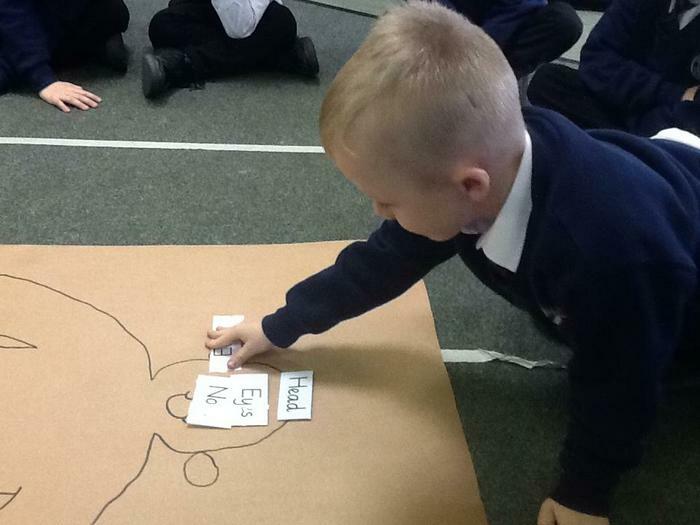 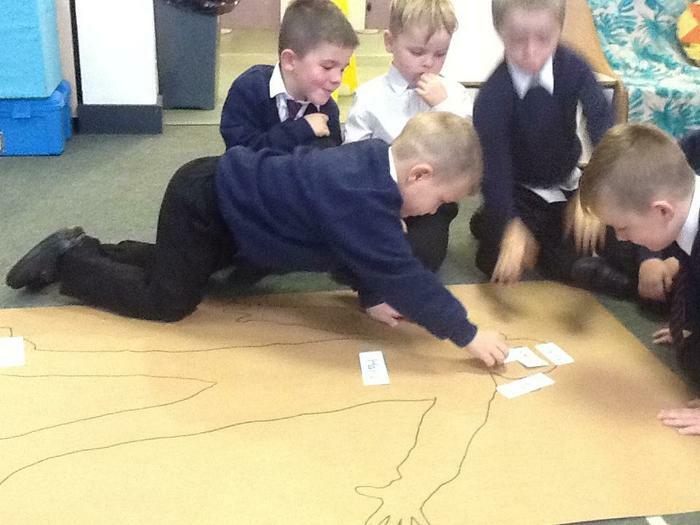 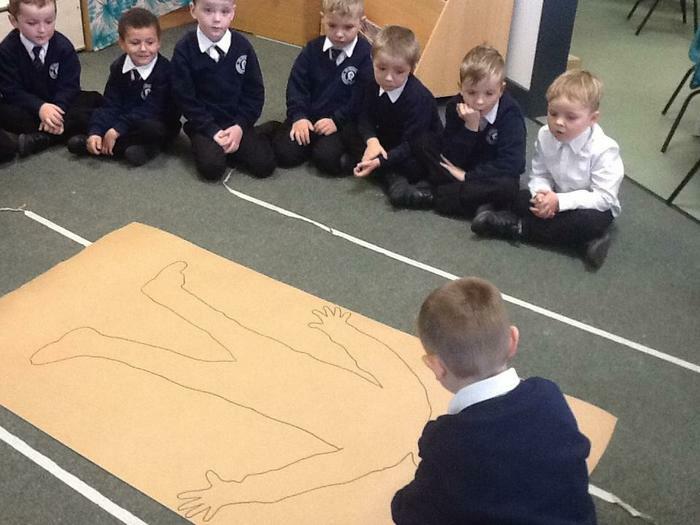 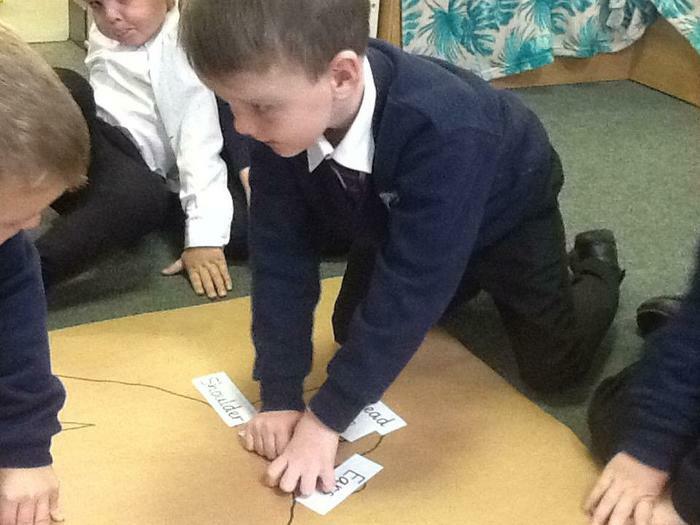 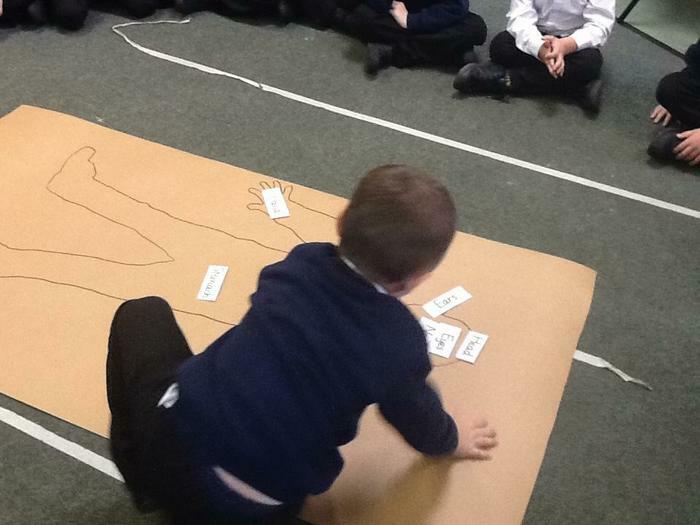 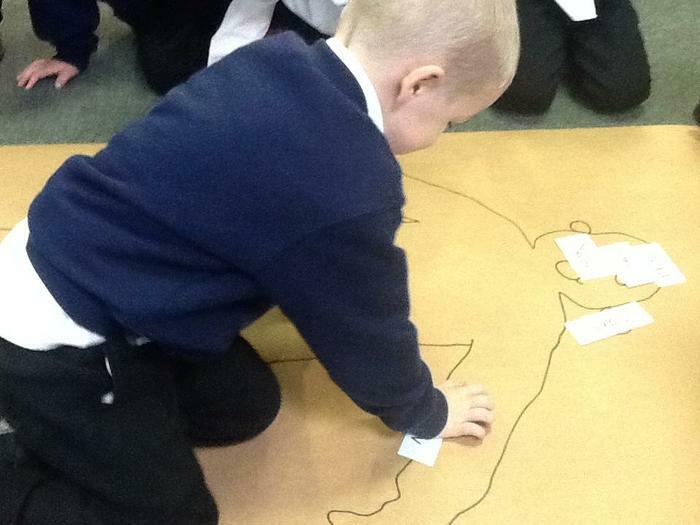 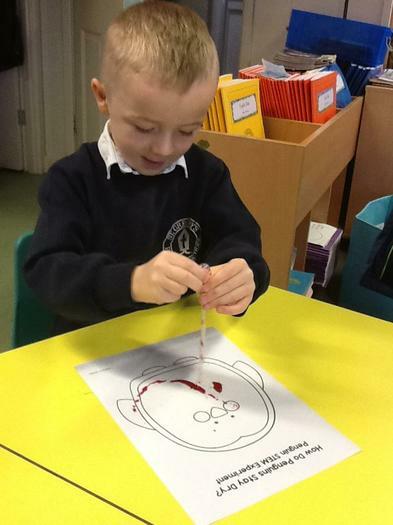 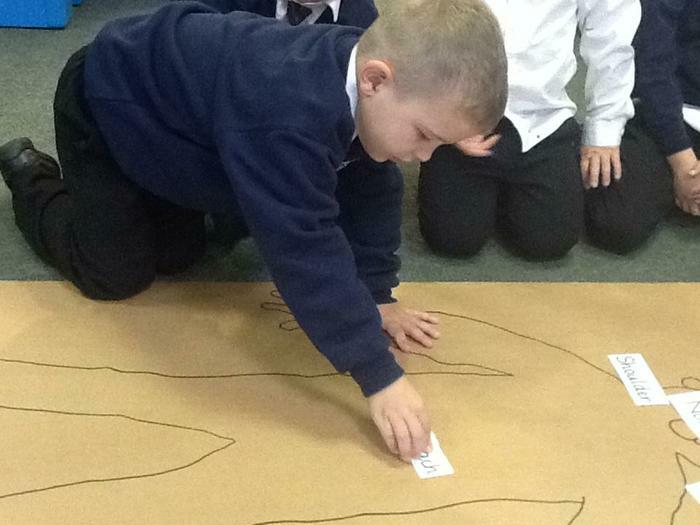 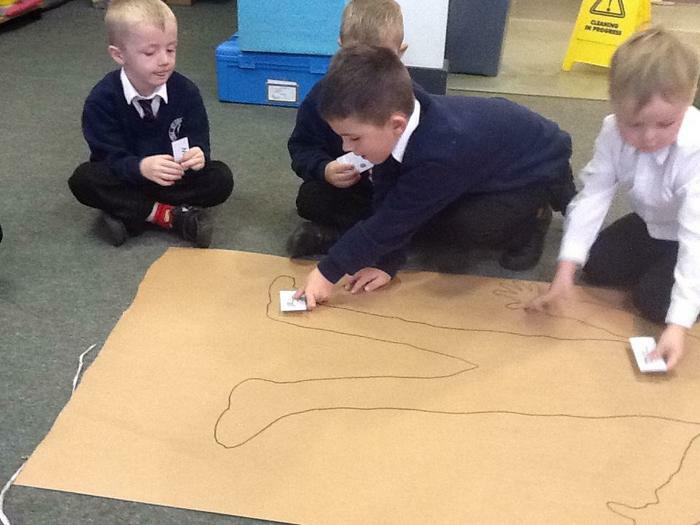 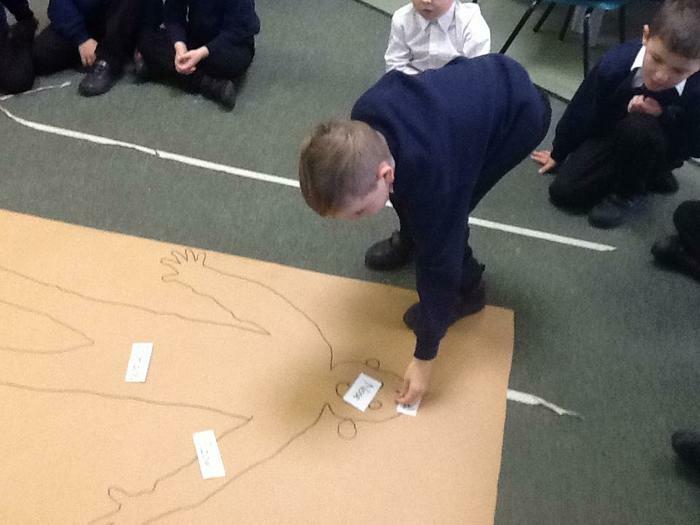 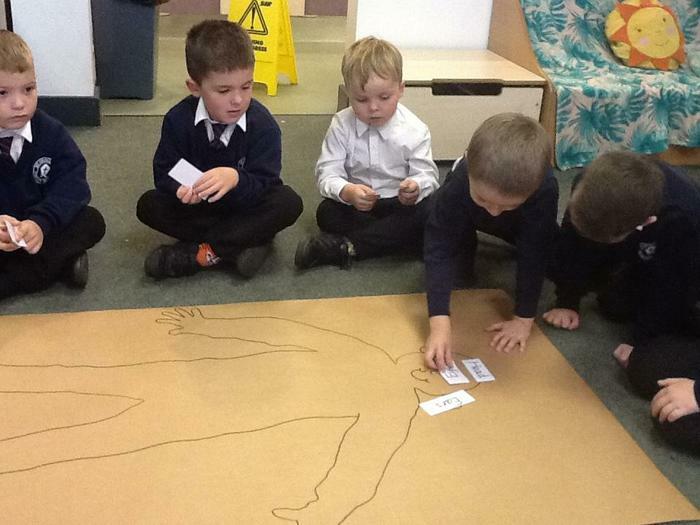 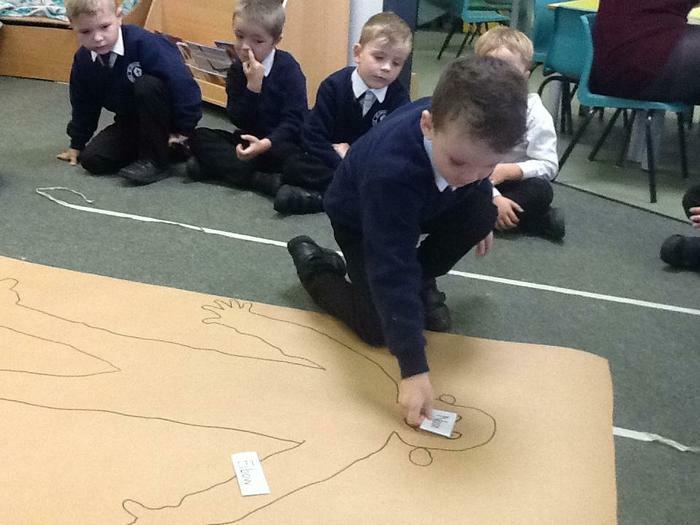 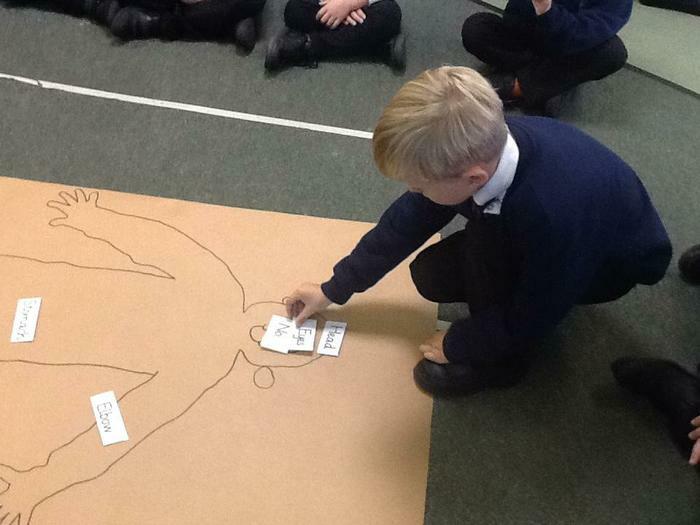 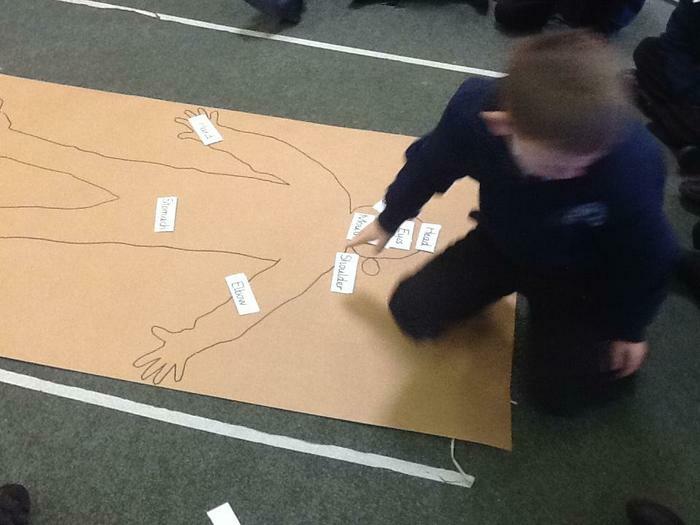 In science we worked together to label the human body. 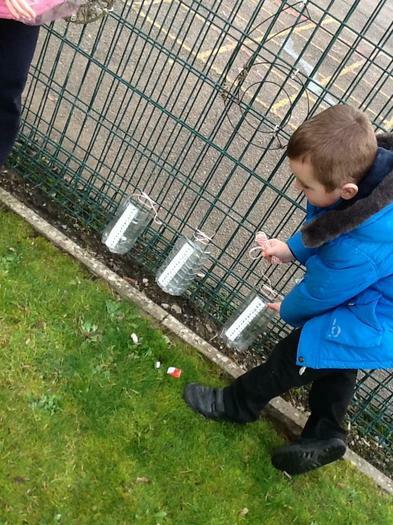 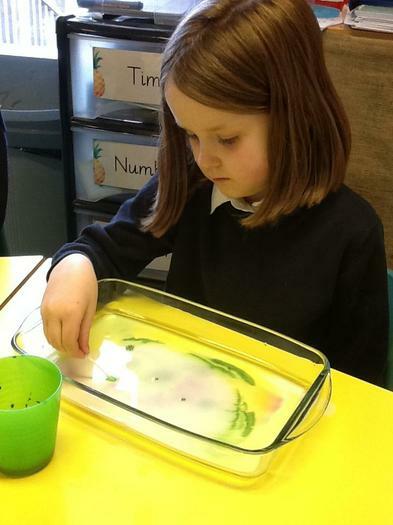 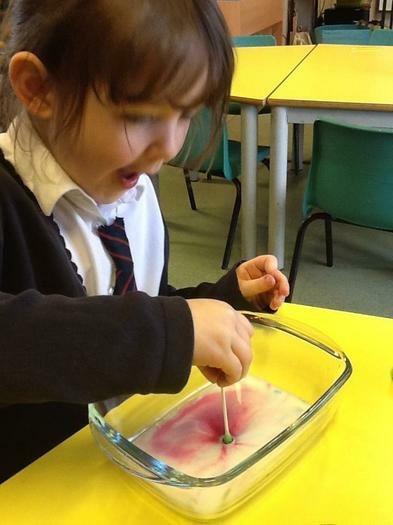 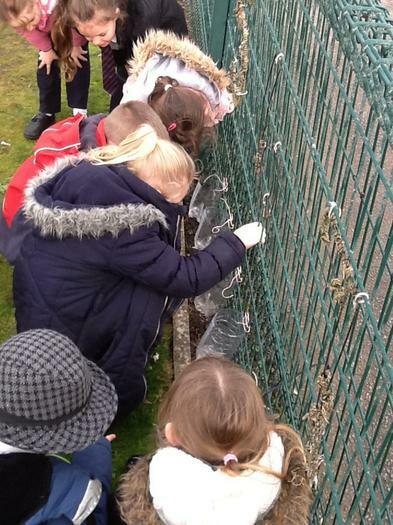 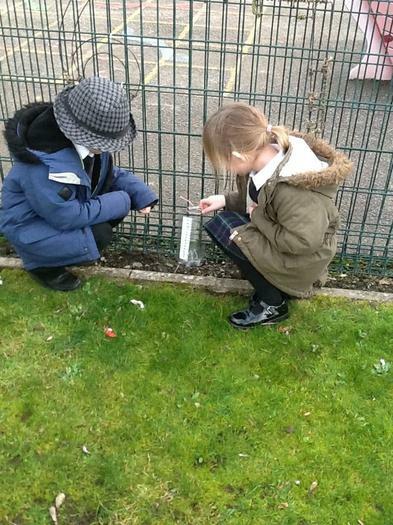 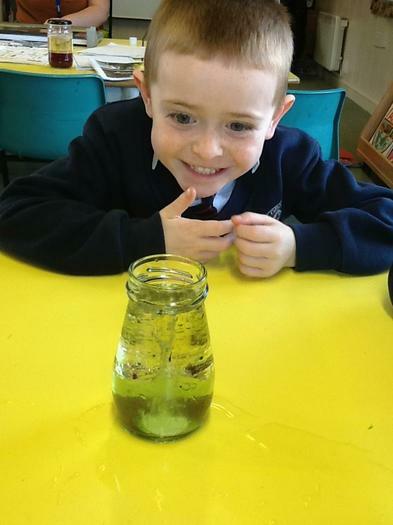 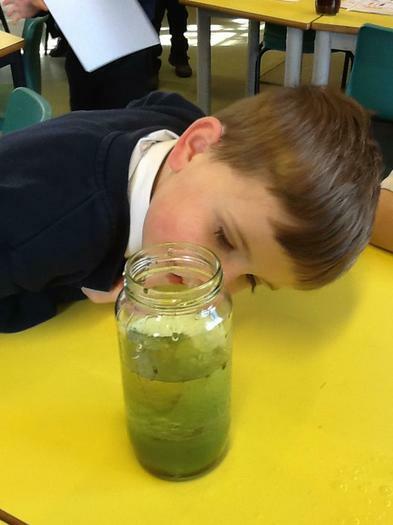 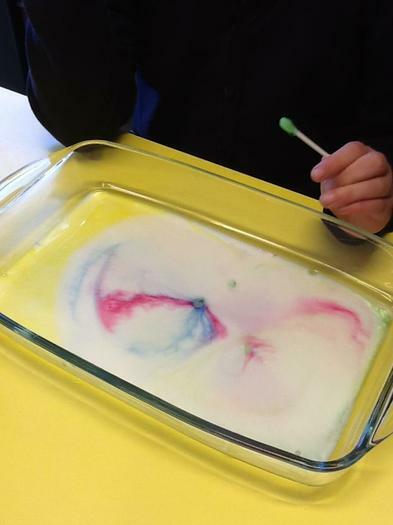 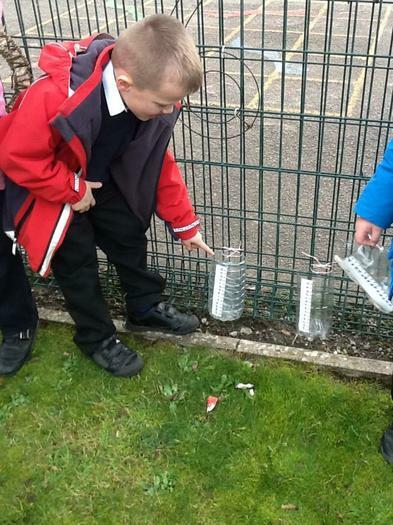 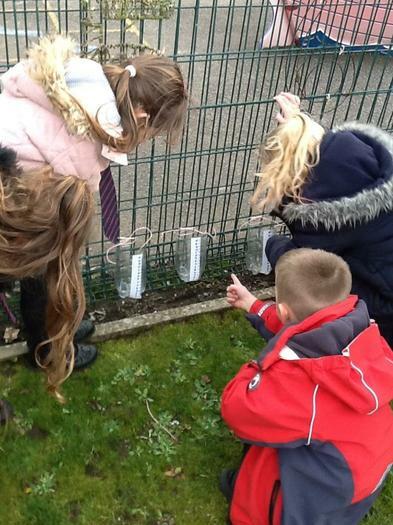 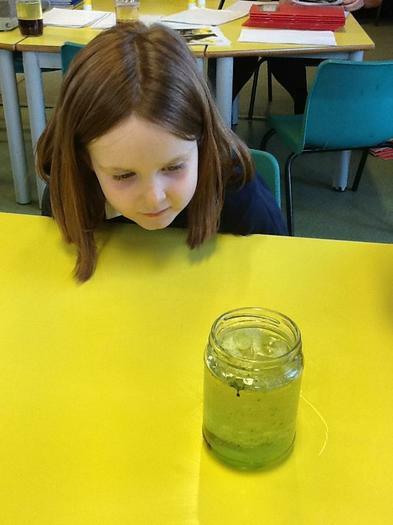 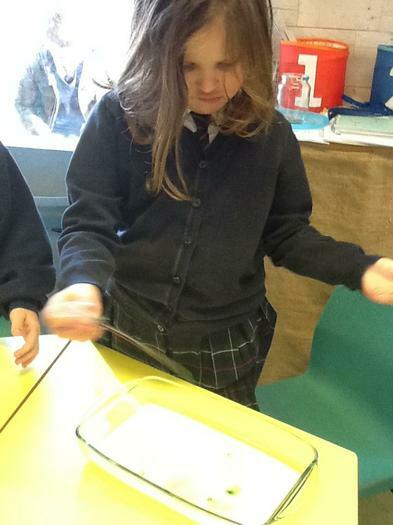 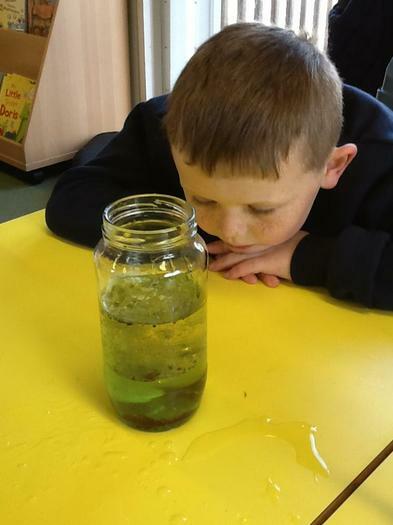 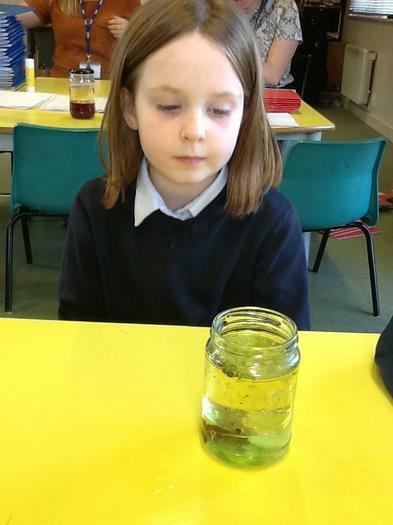 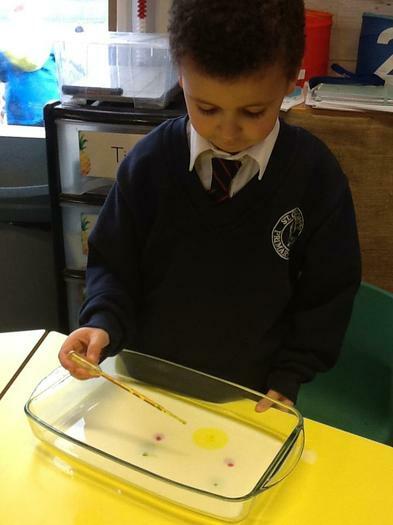 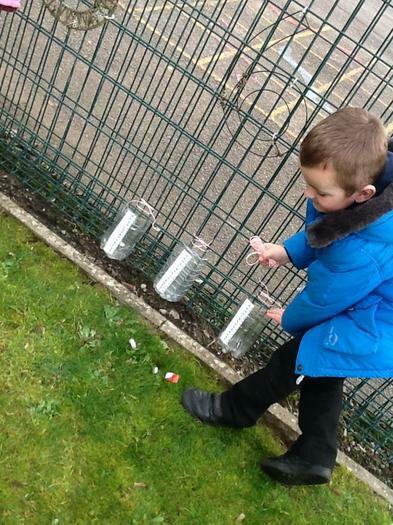 In science we all made rain gauges to measure the amount of rainfall in five days. 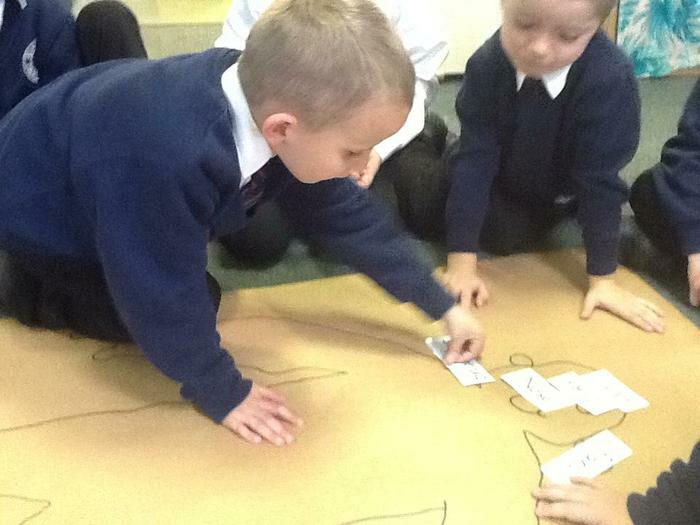 We then recorded this. 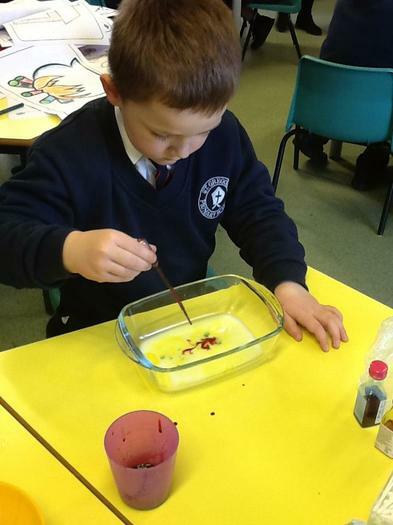 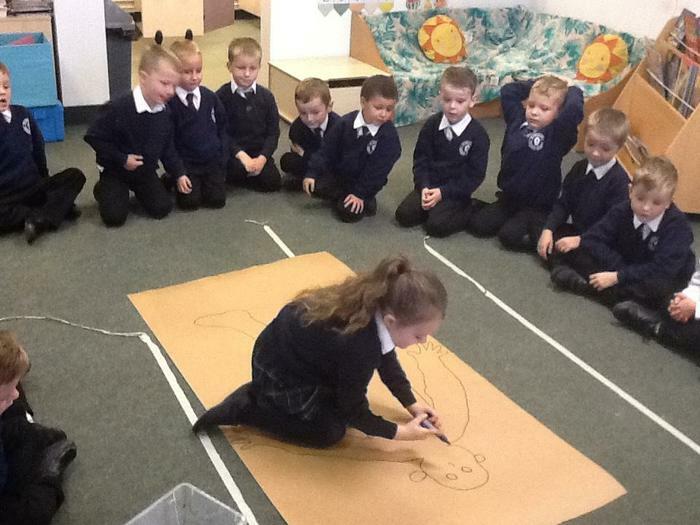 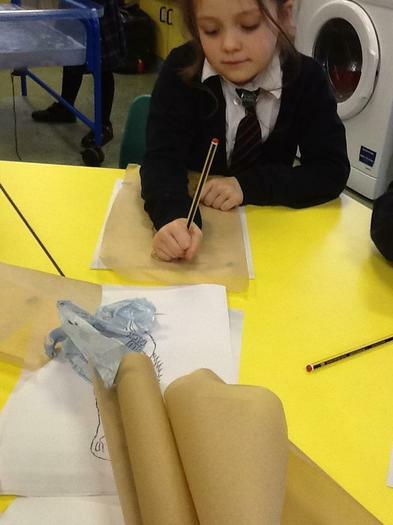 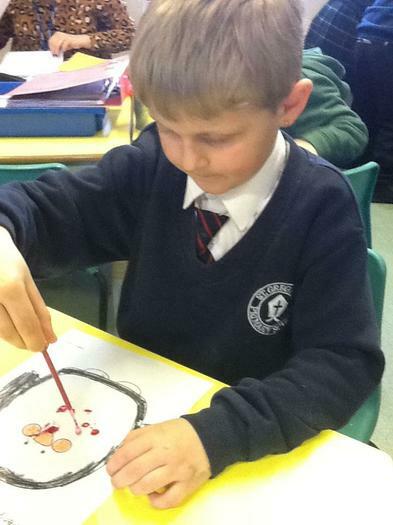 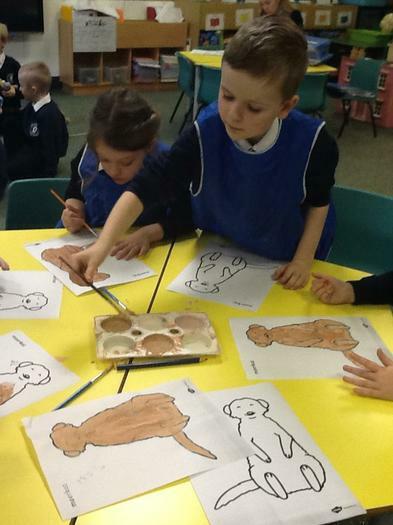 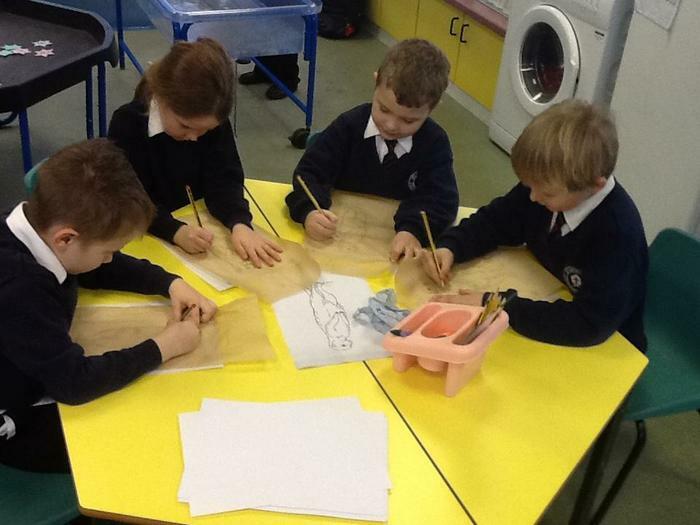 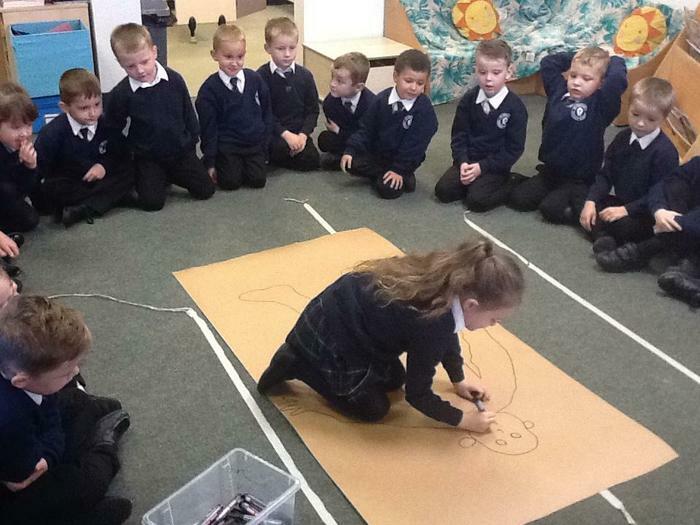 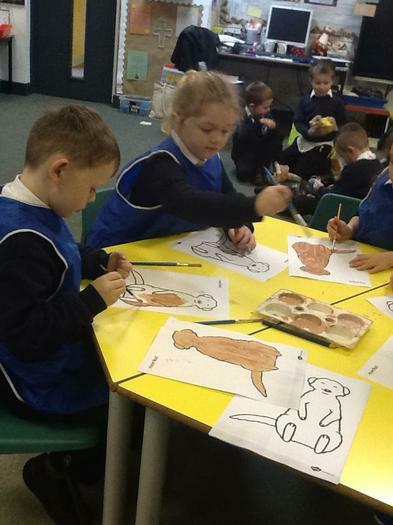 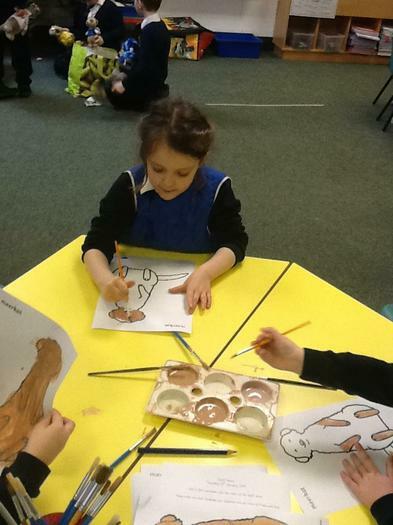 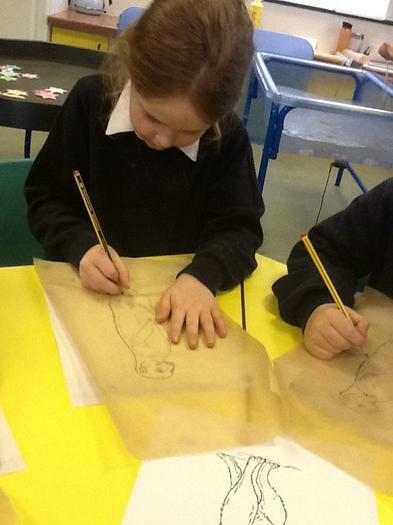 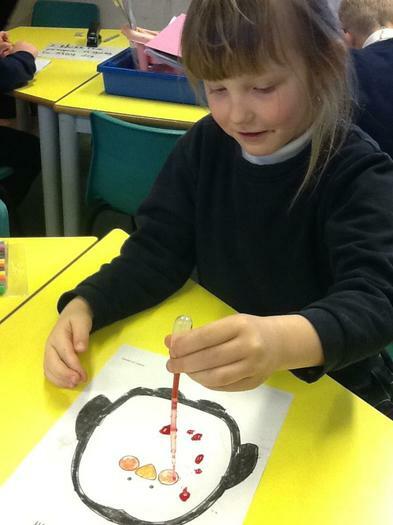 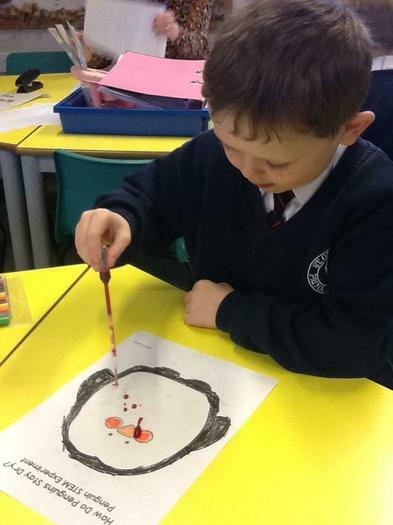 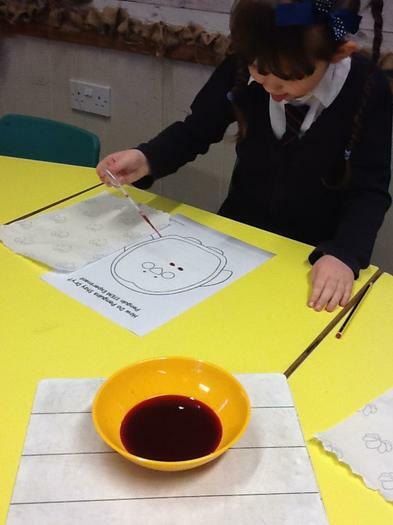 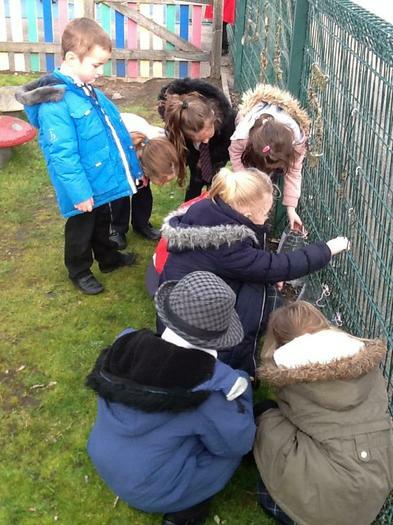 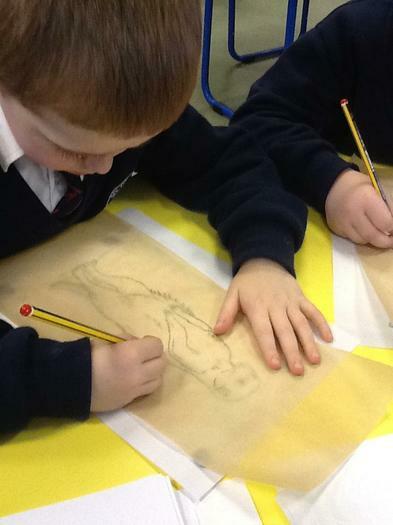 The children really enjoyed a meerkat art afternoon. 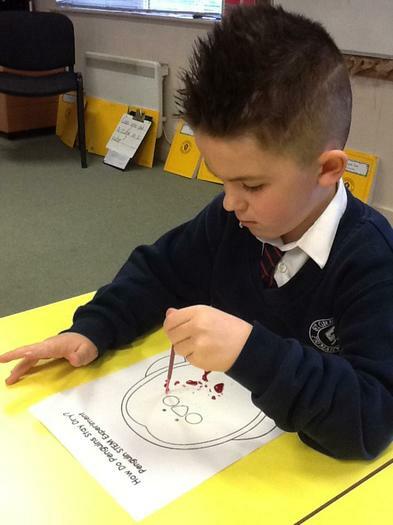 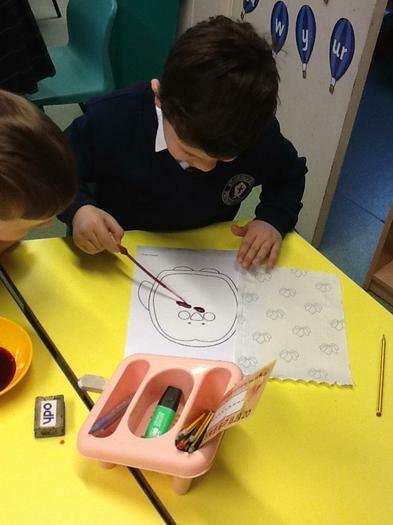 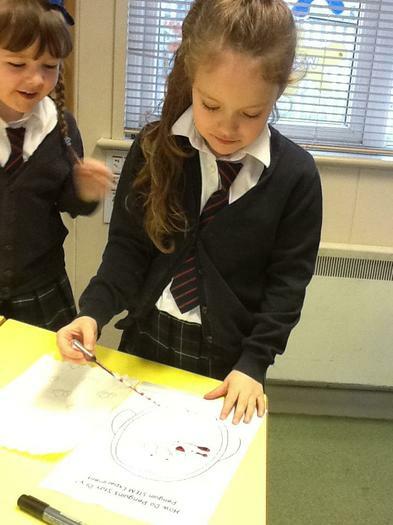 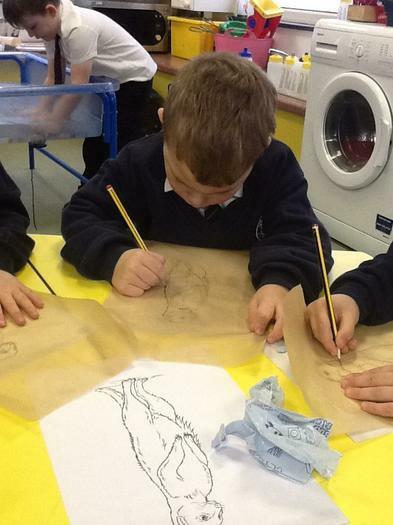 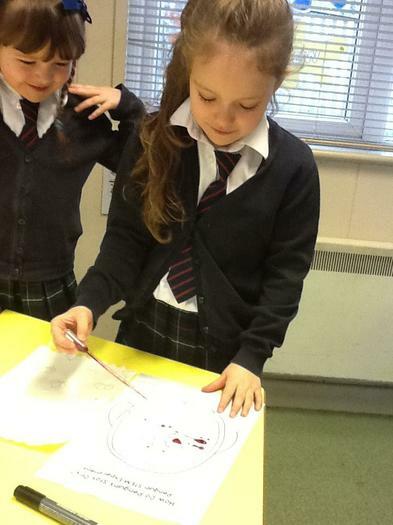 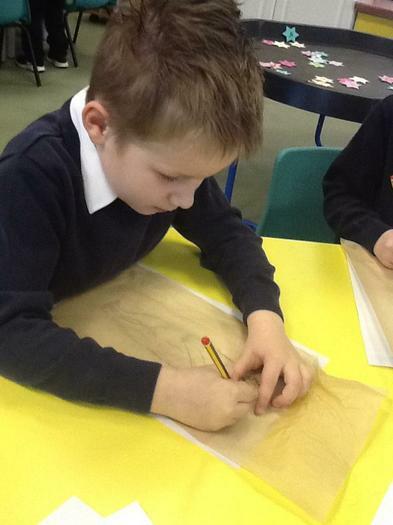 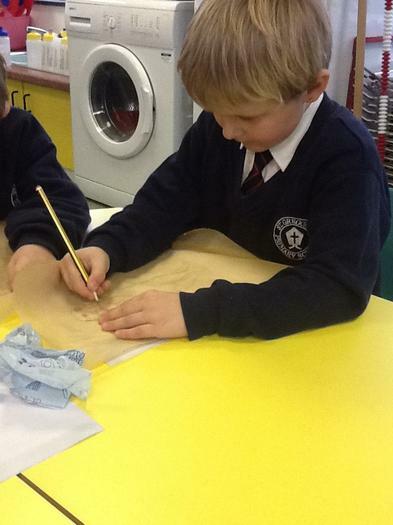 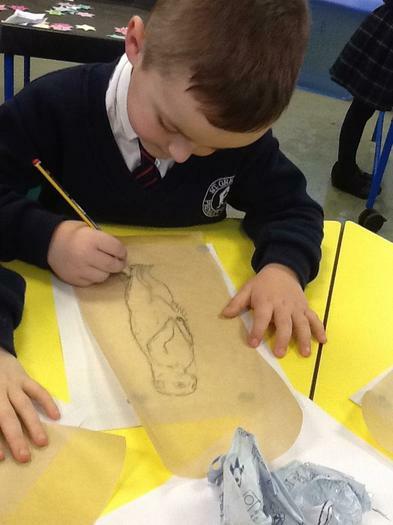 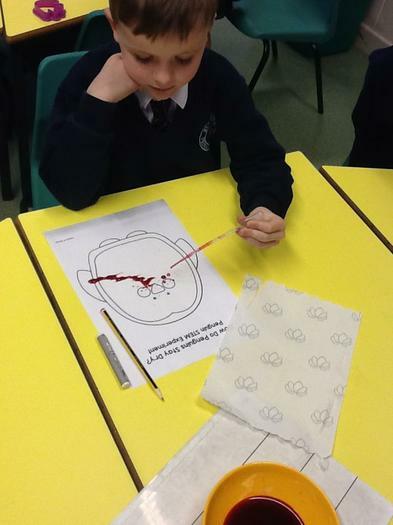 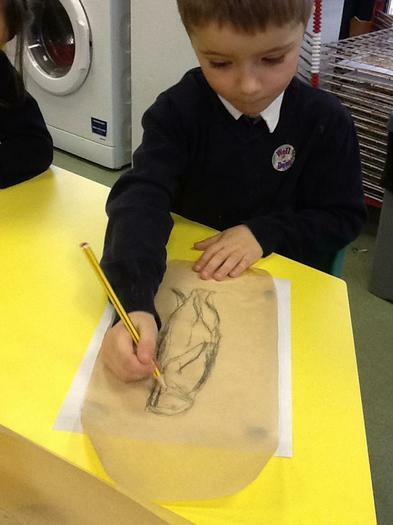 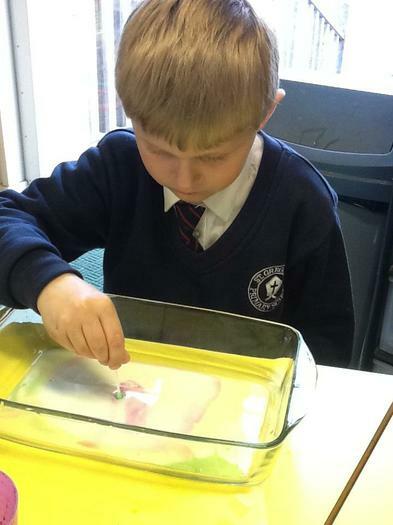 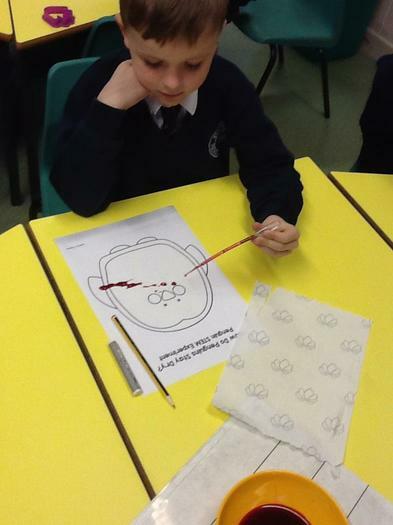 They learnt about tracing and copying the image onto paper. 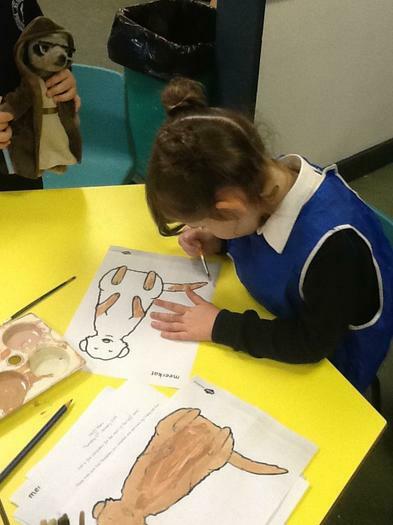 They also painted their own meerkat pictures for display.